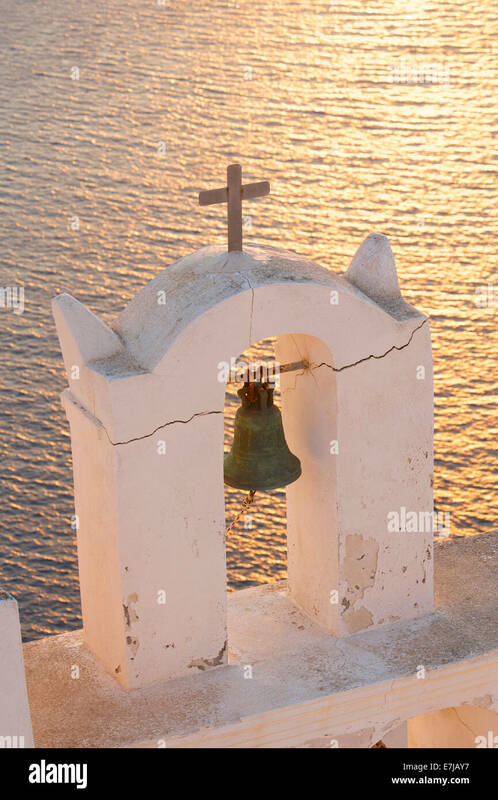 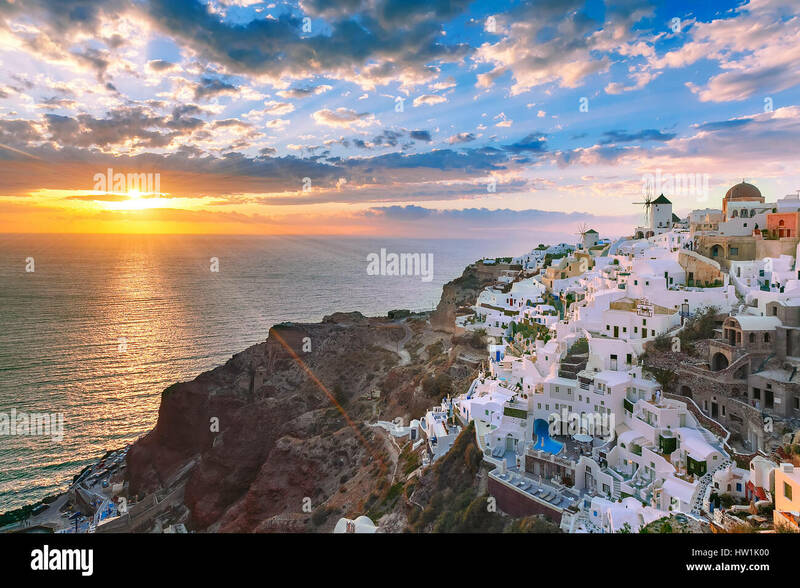 Iconic sunset in the town of Oia on the greek island Santorini (Thera). 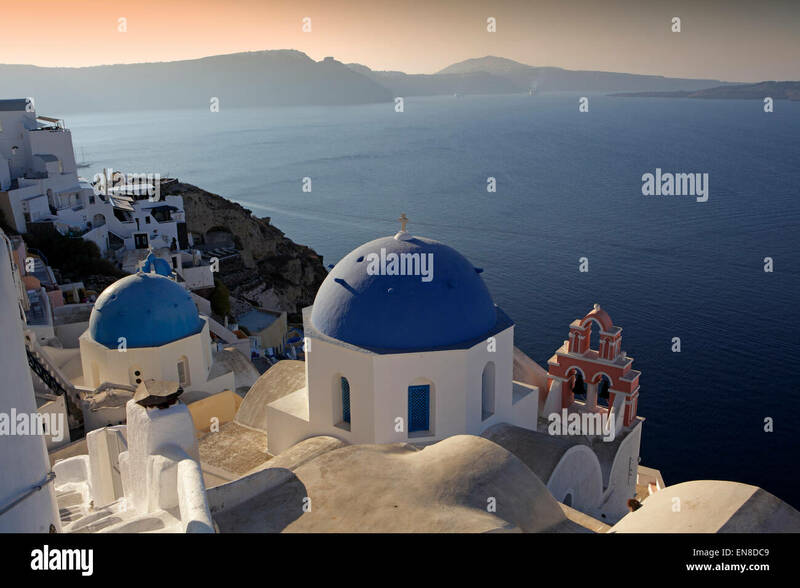 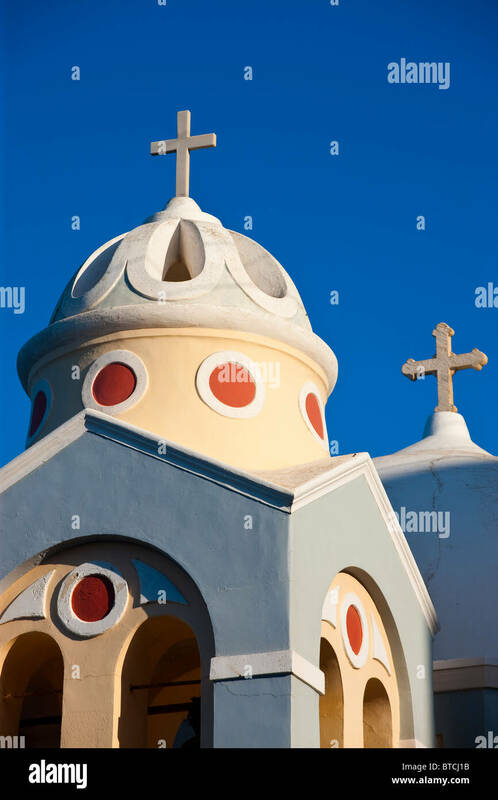 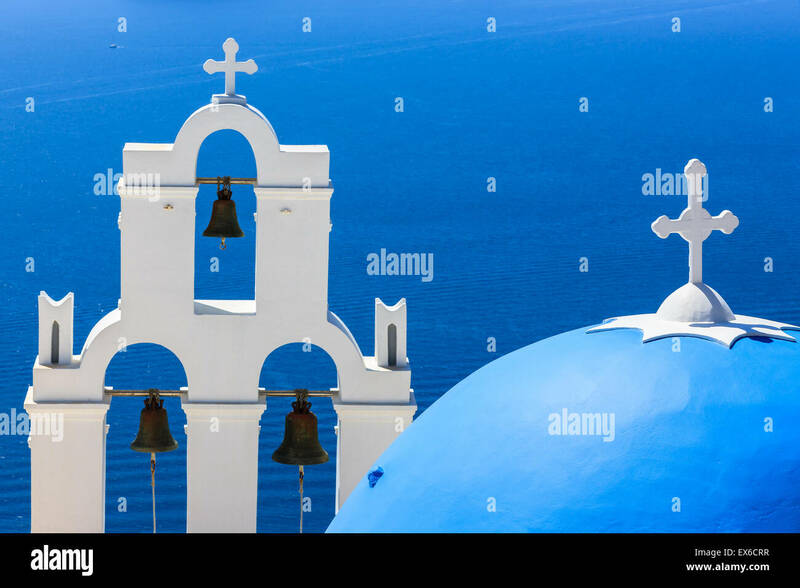 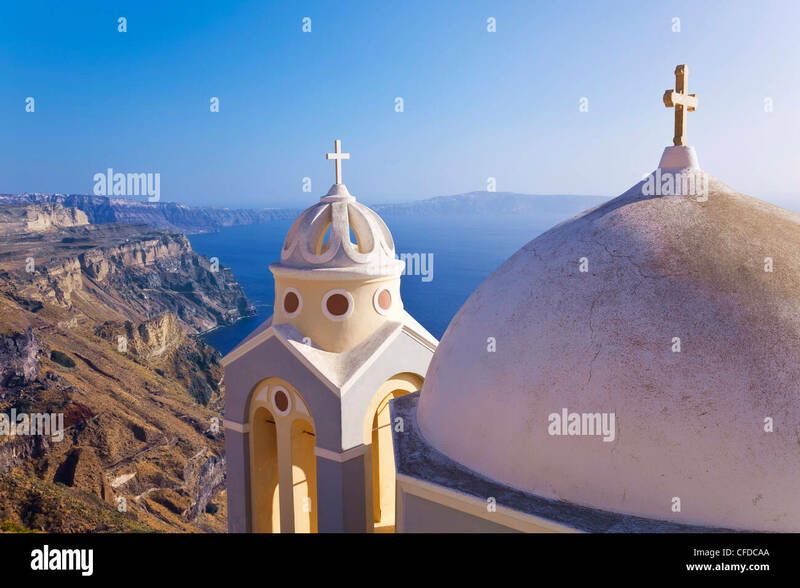 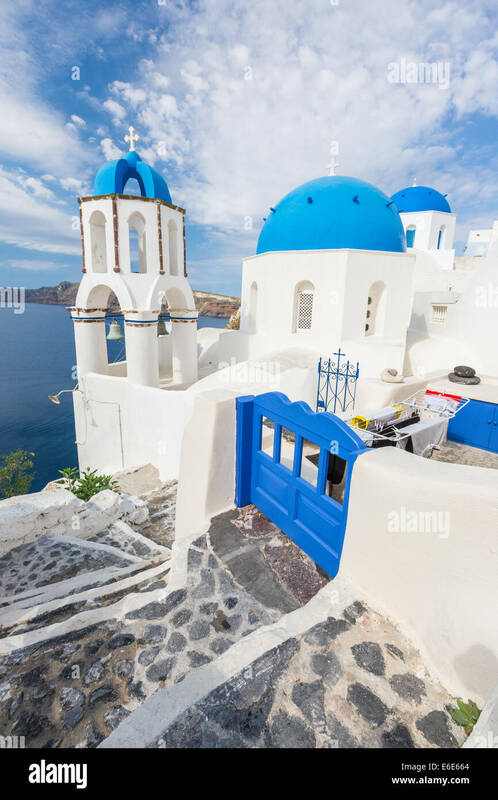 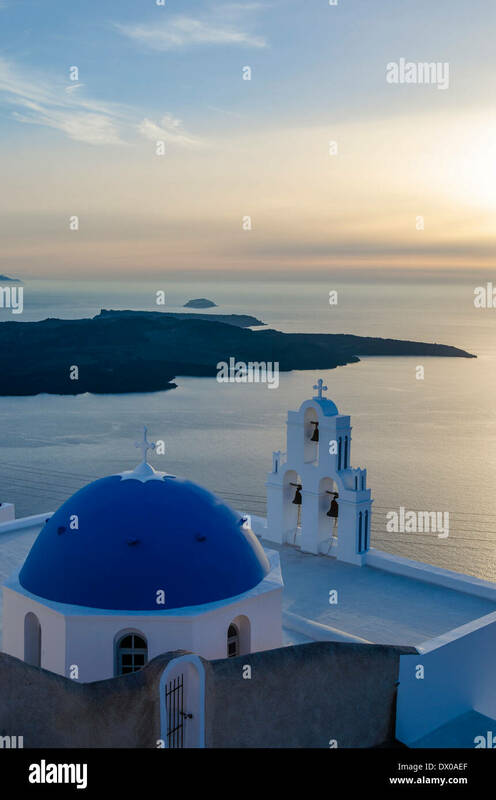 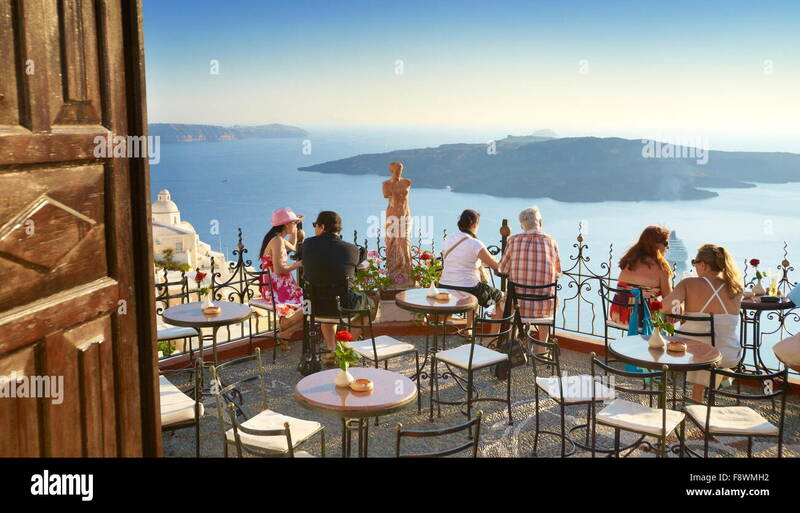 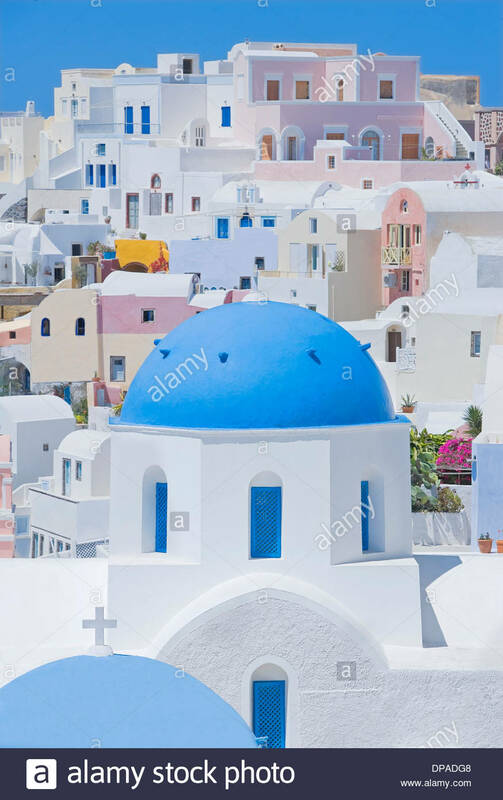 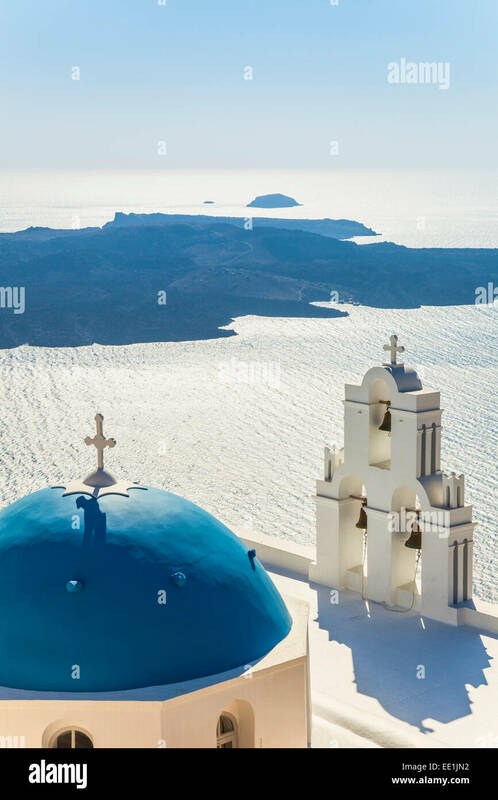 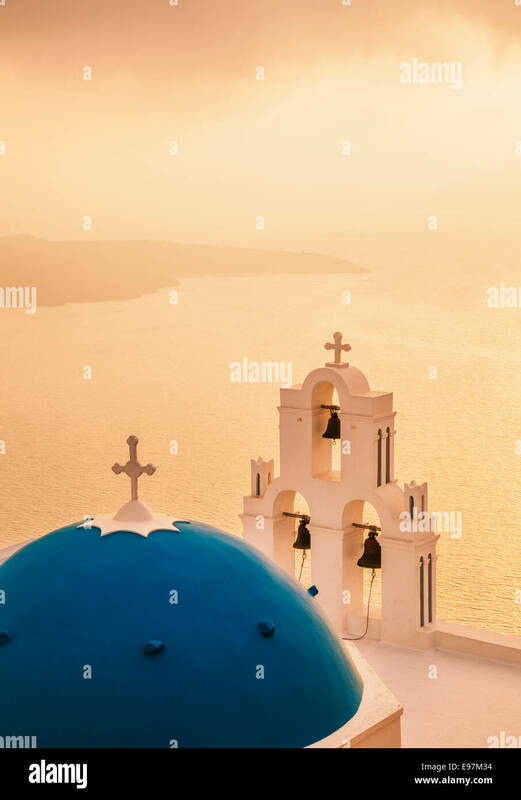 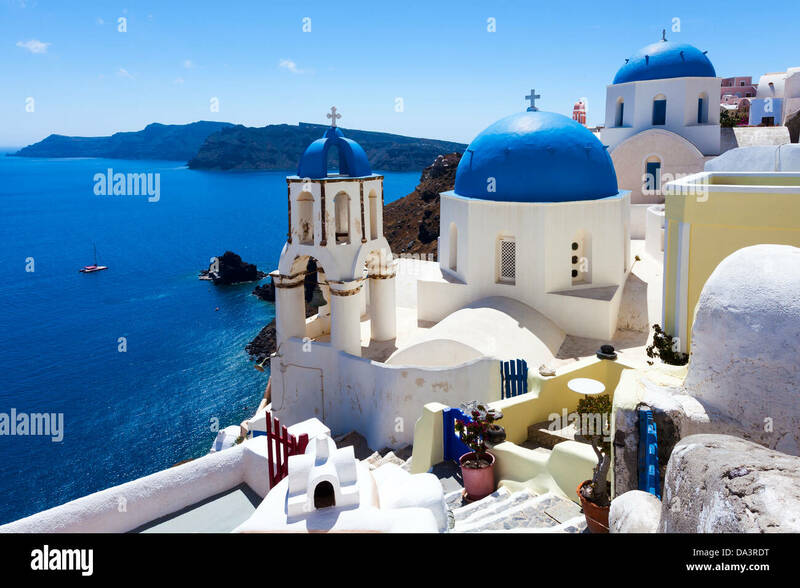 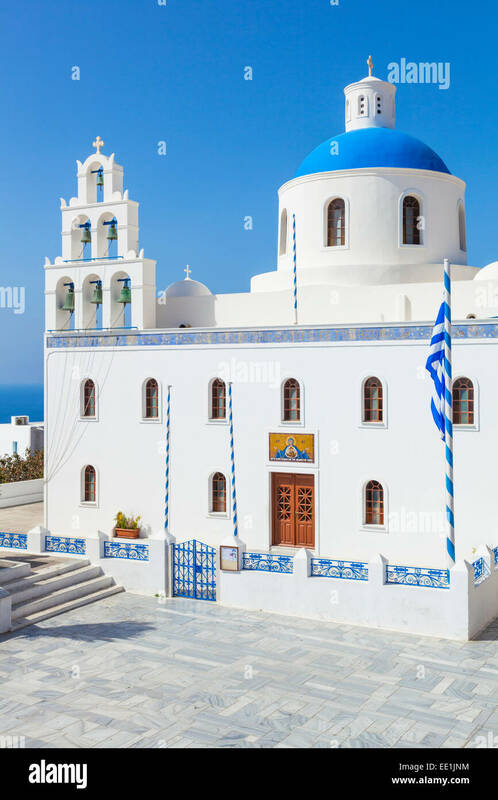 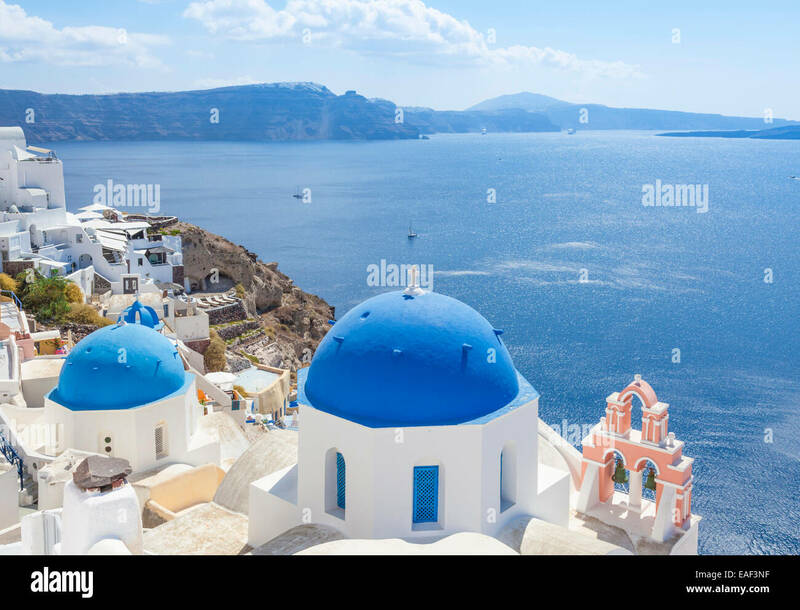 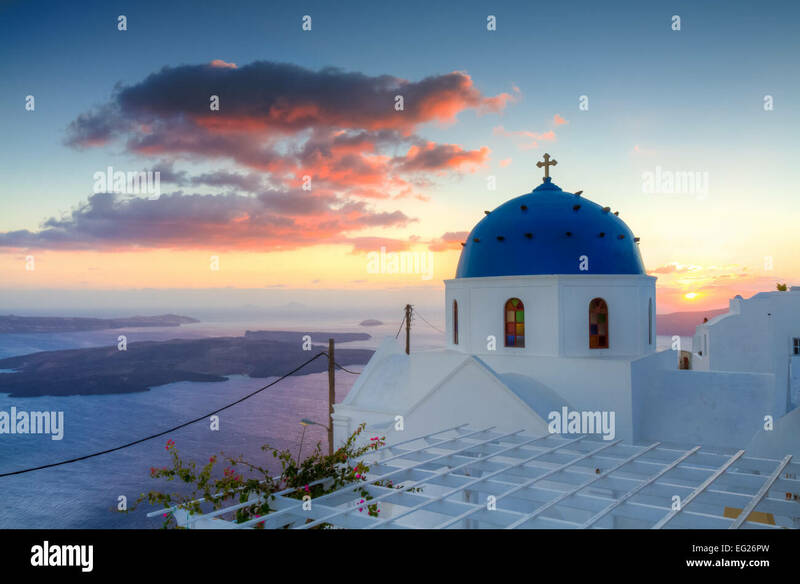 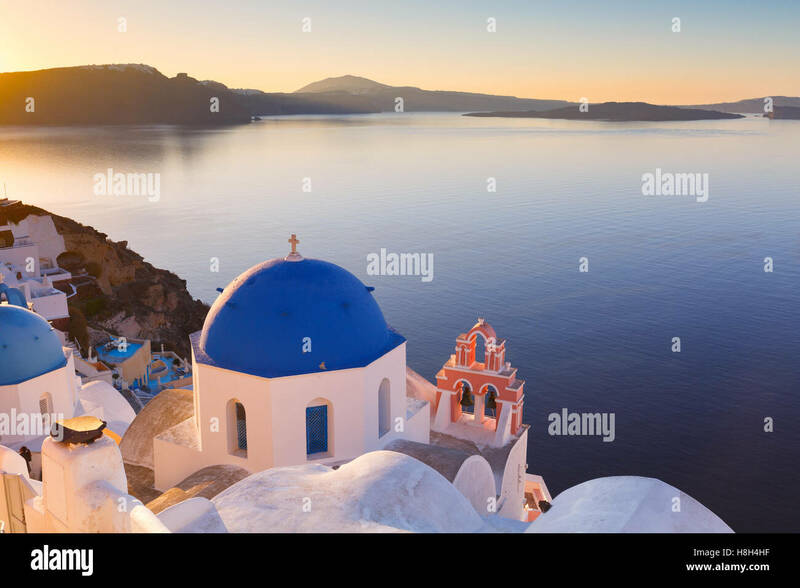 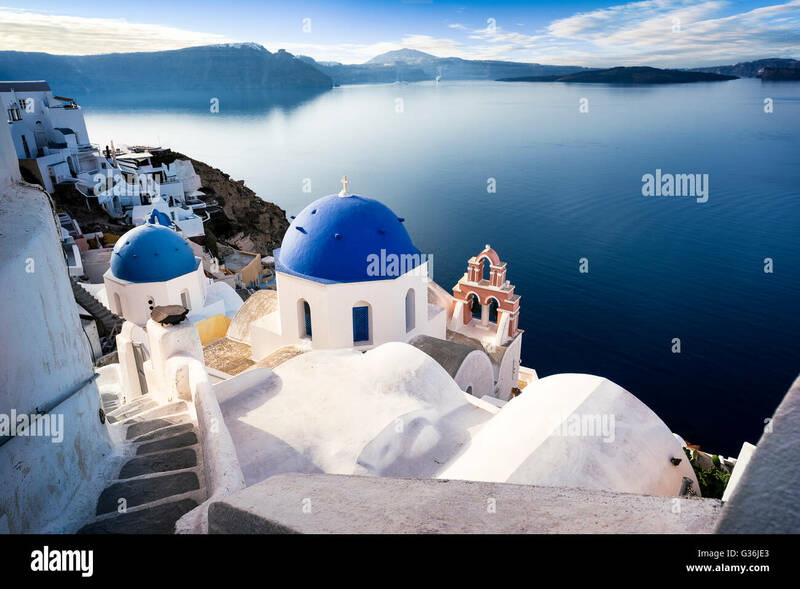 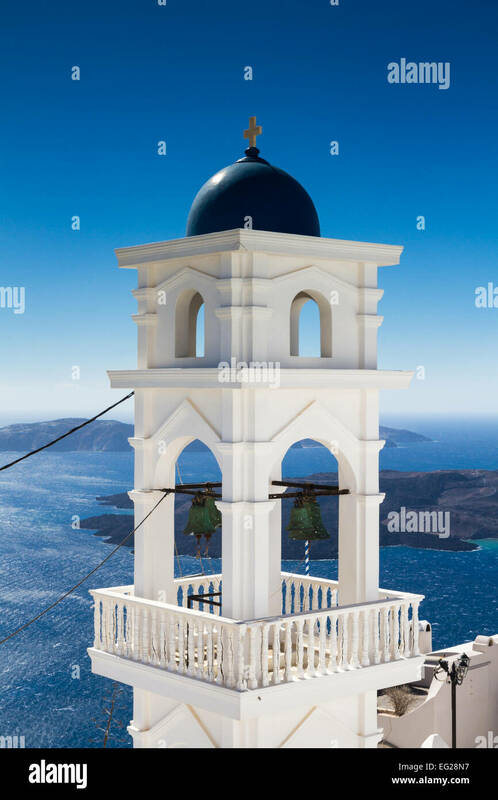 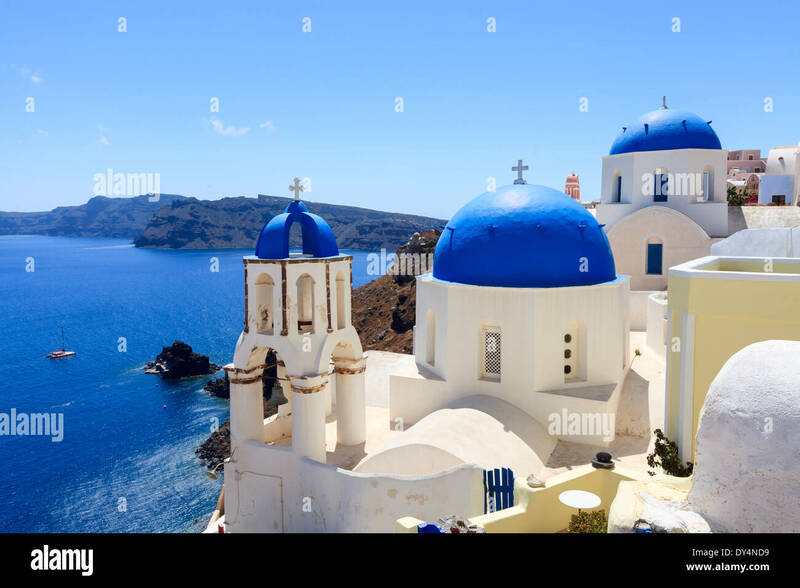 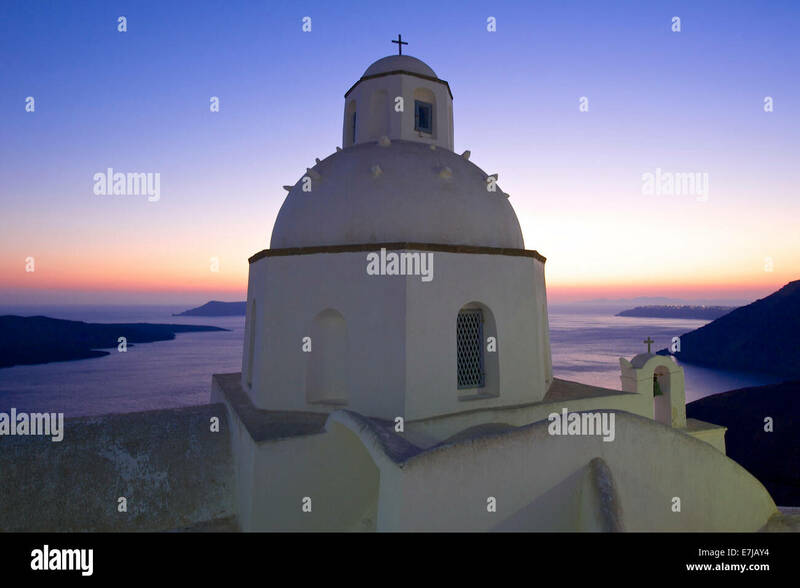 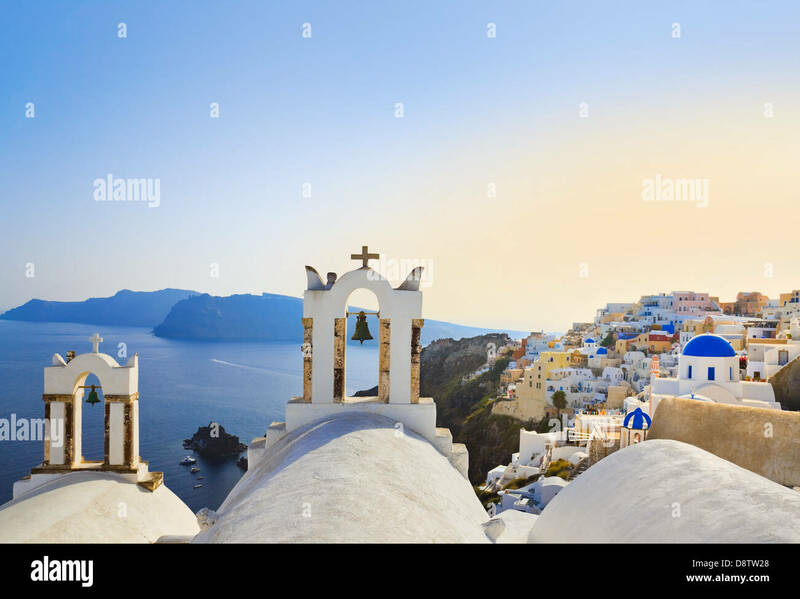 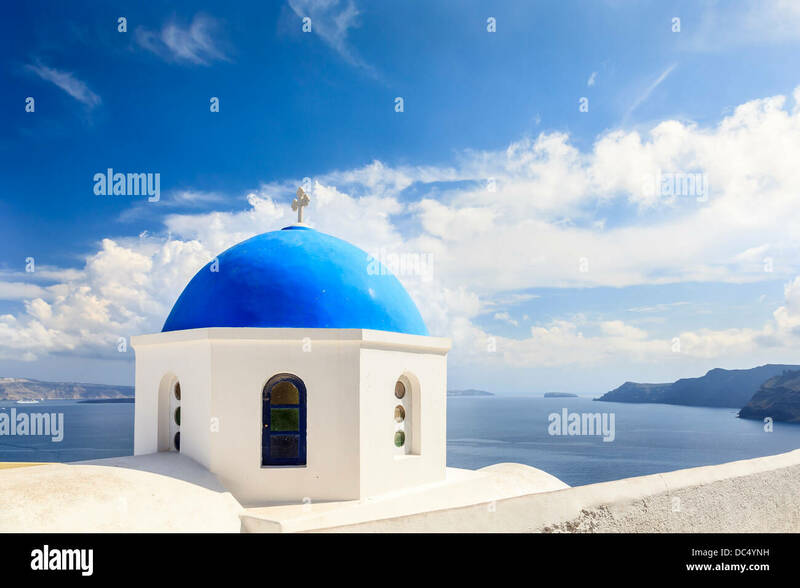 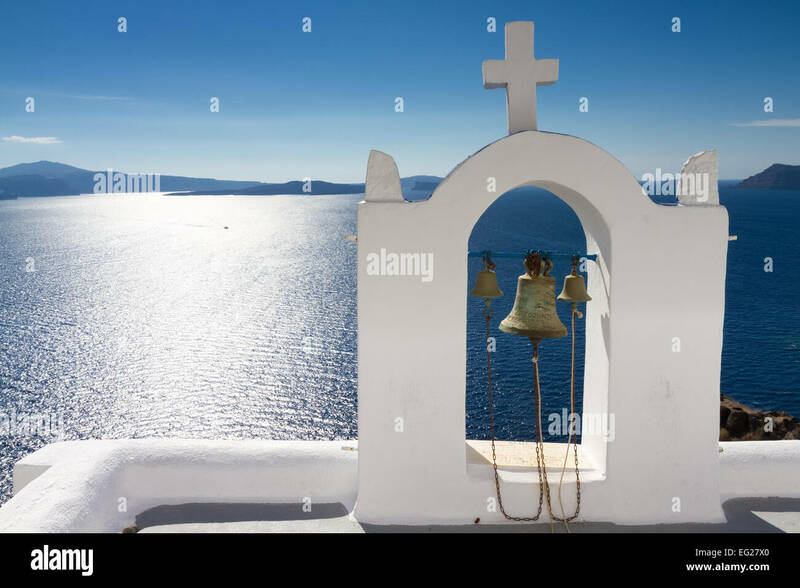 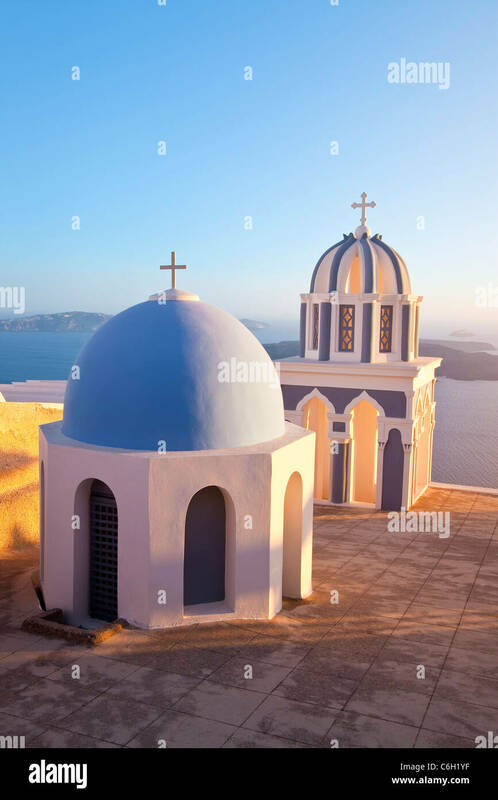 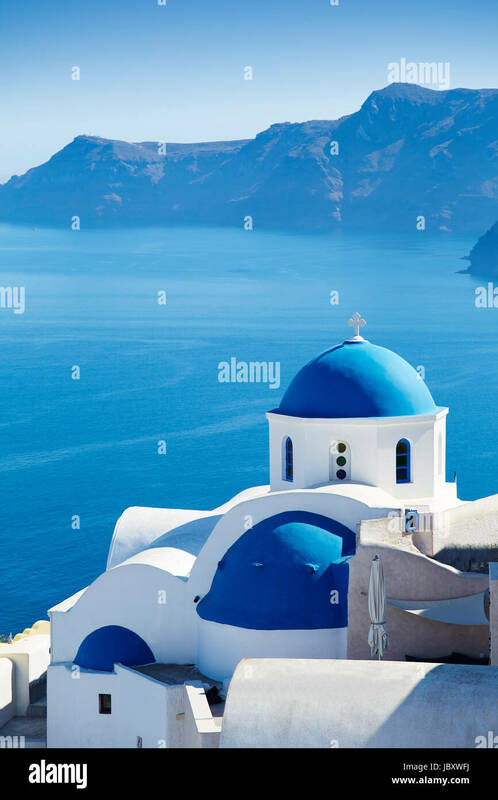 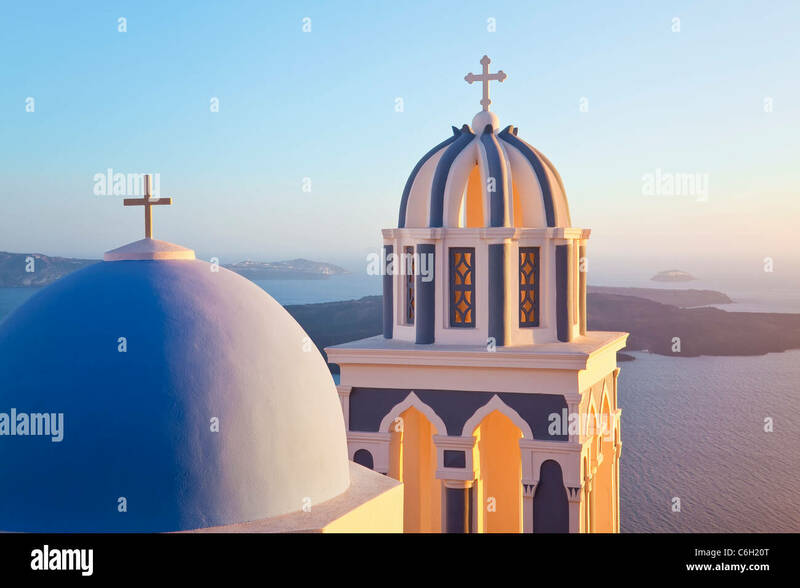 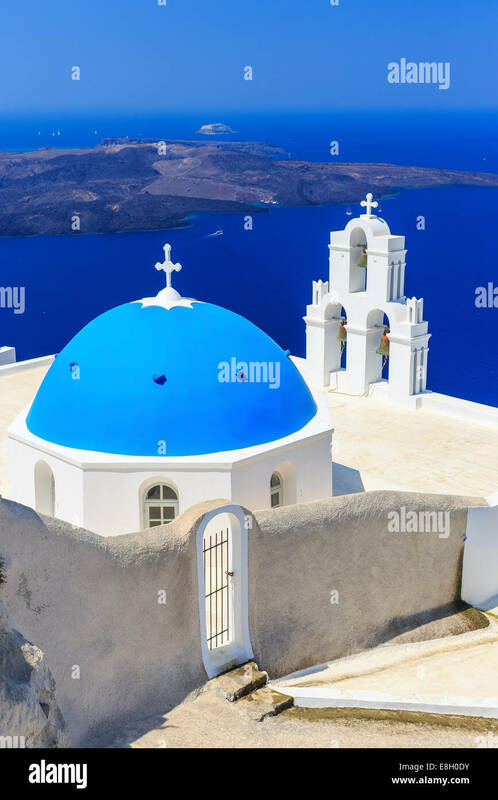 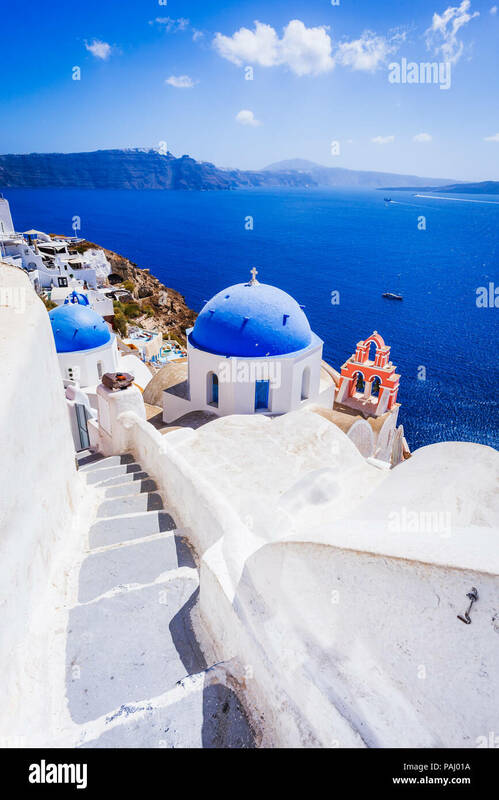 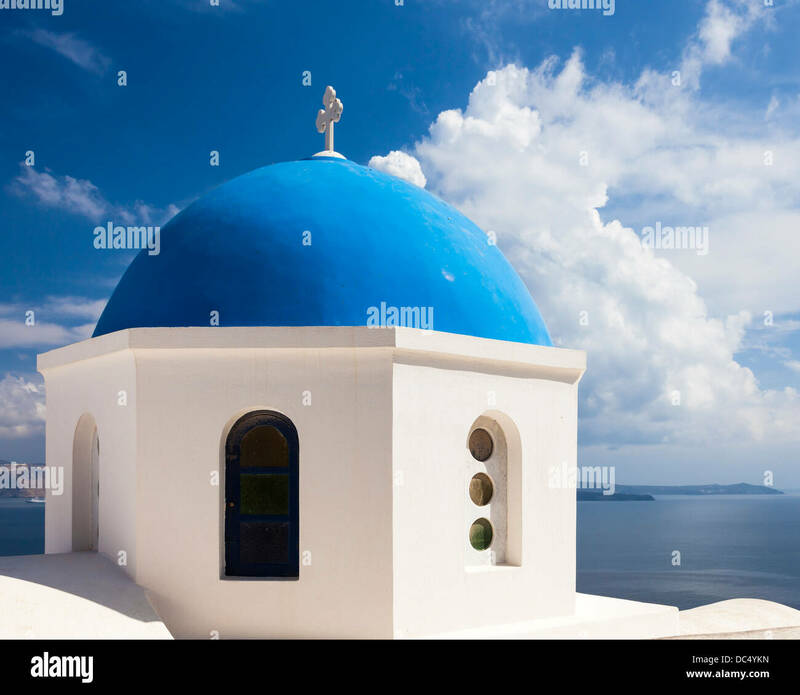 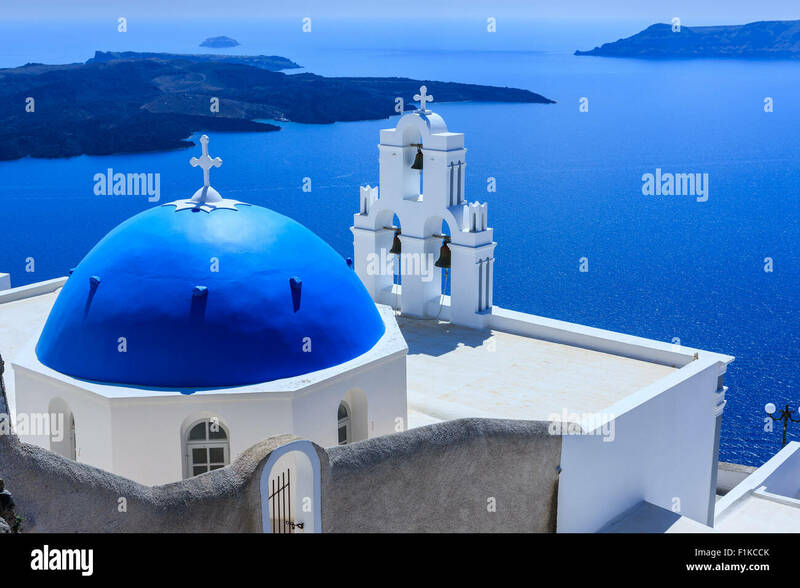 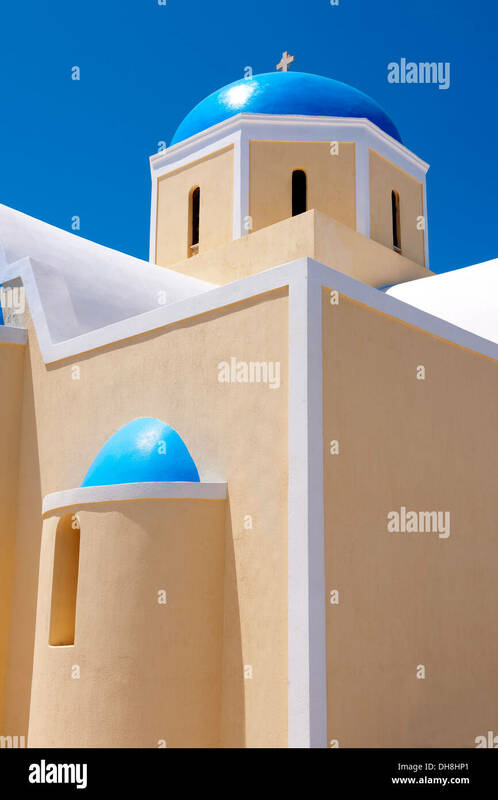 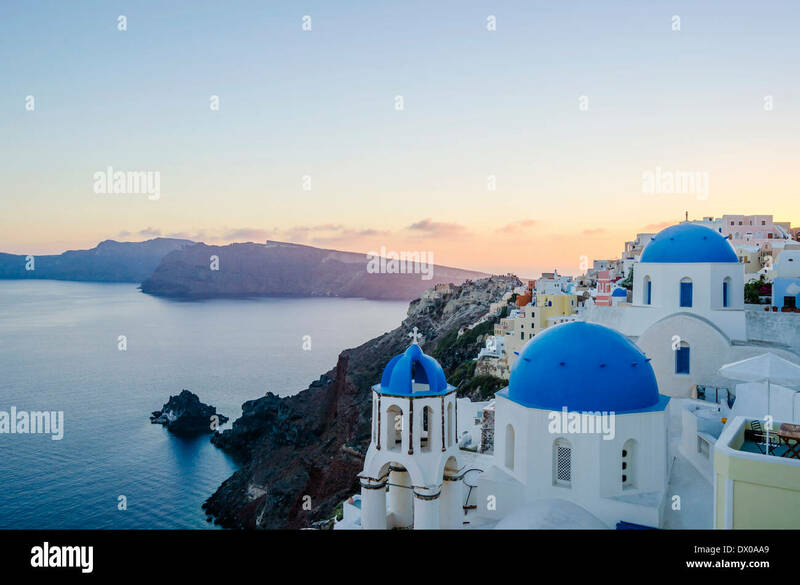 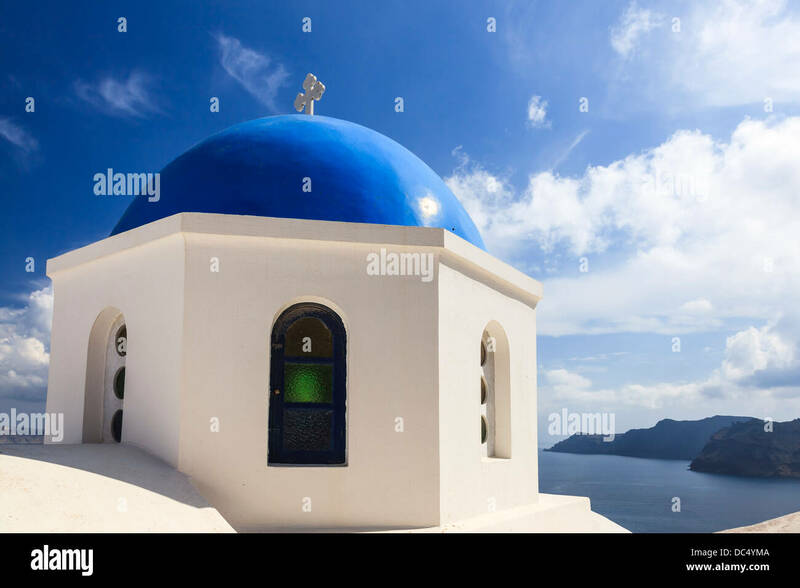 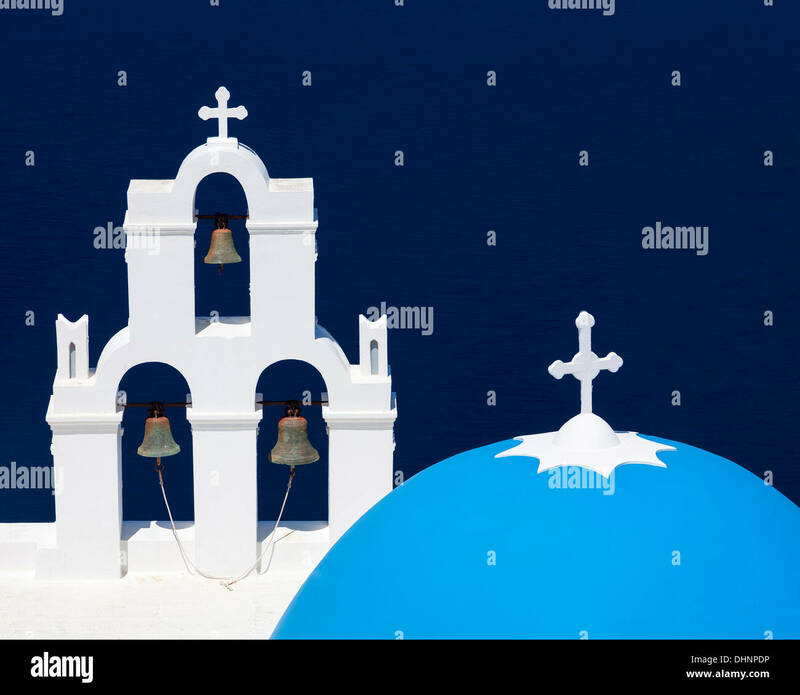 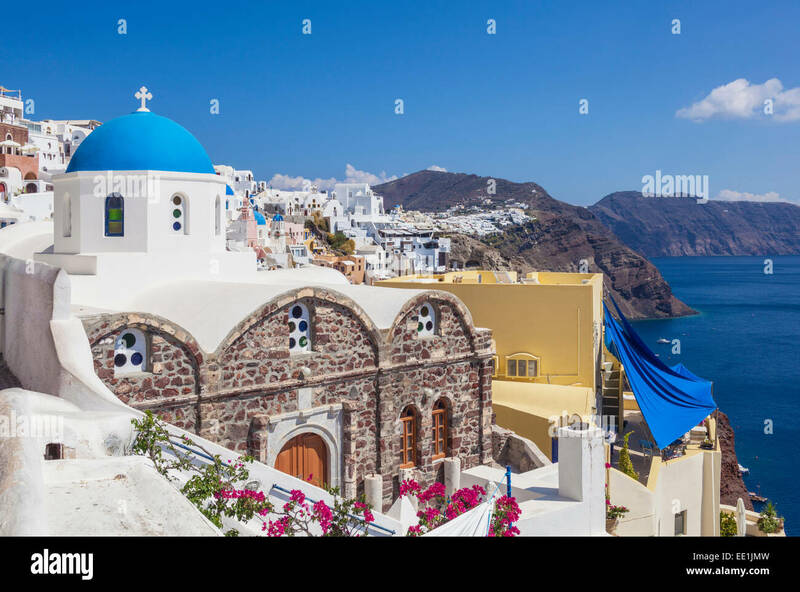 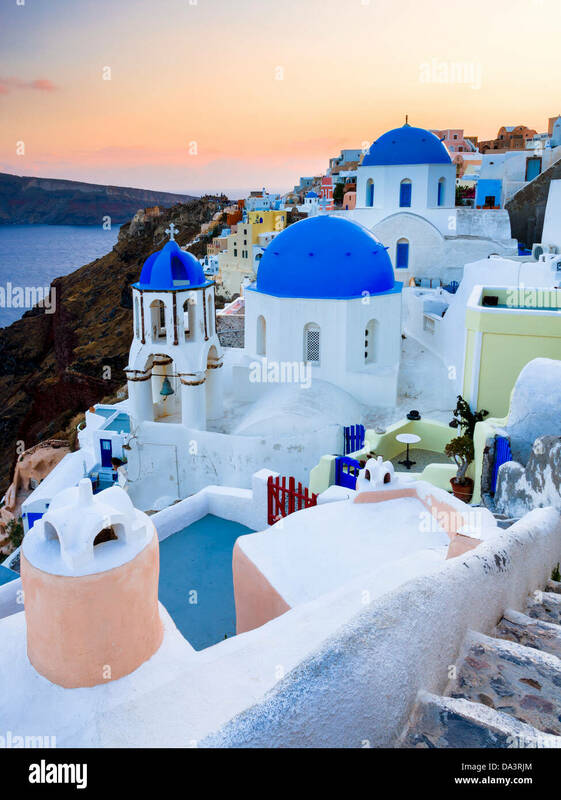 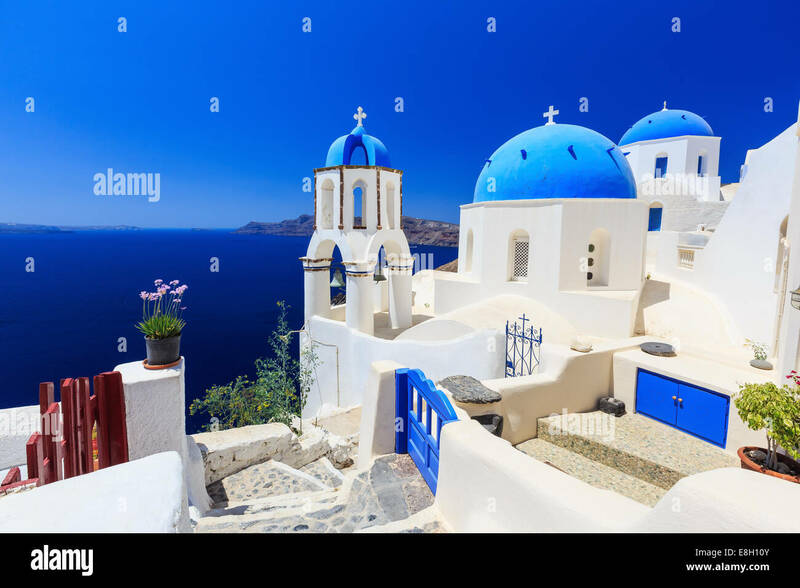 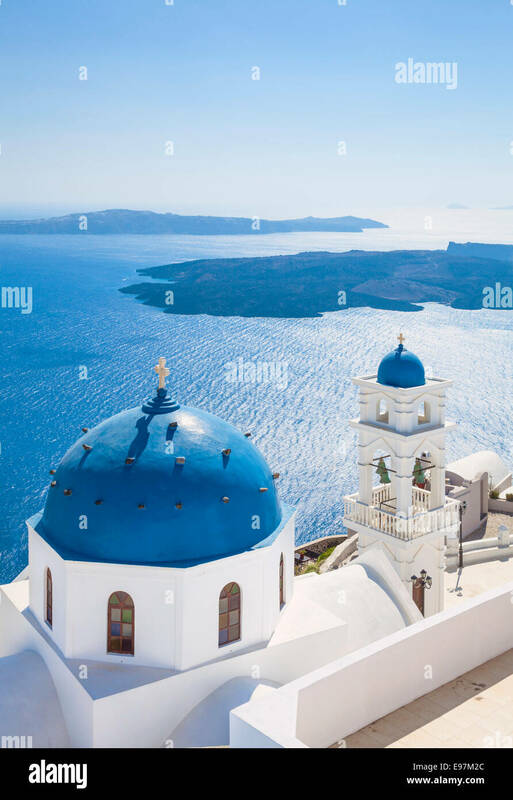 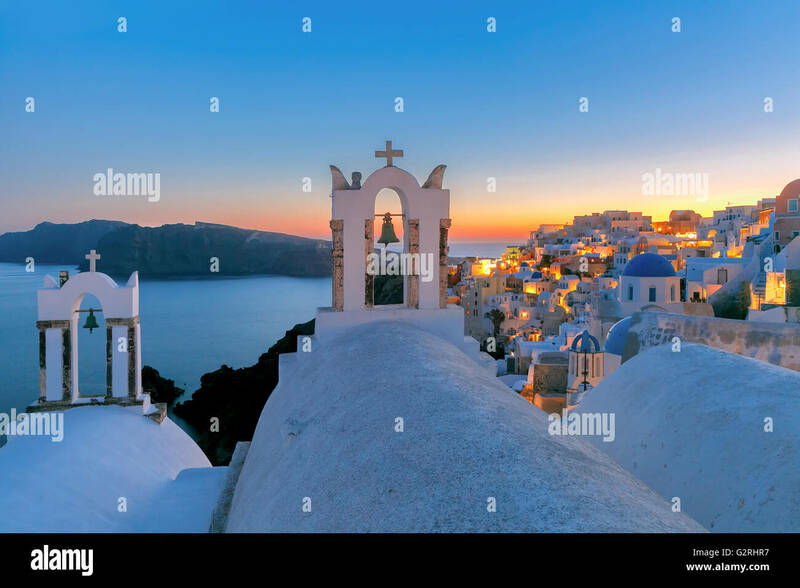 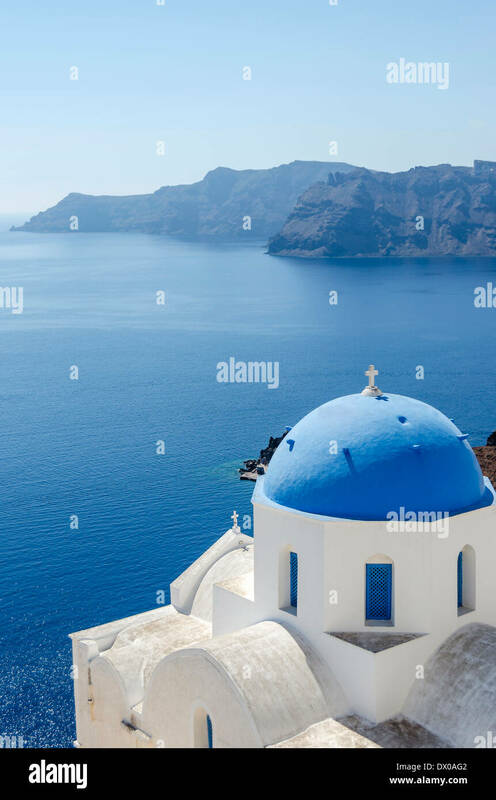 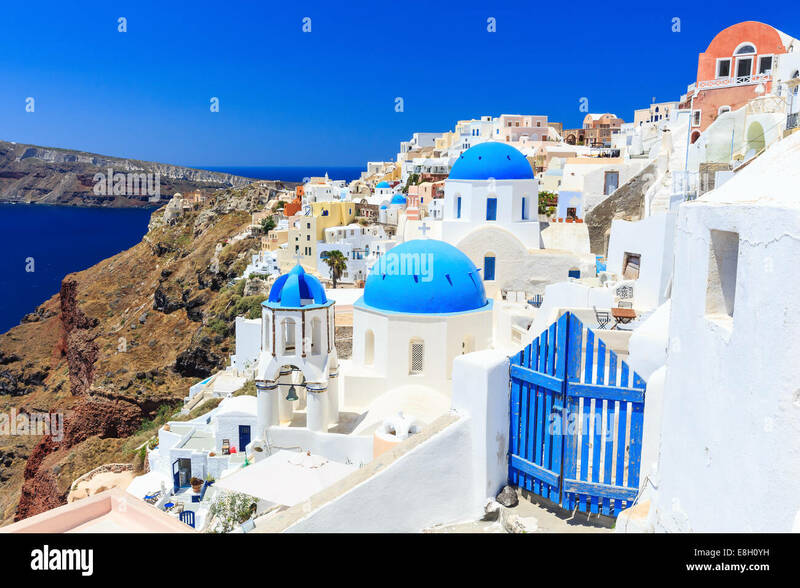 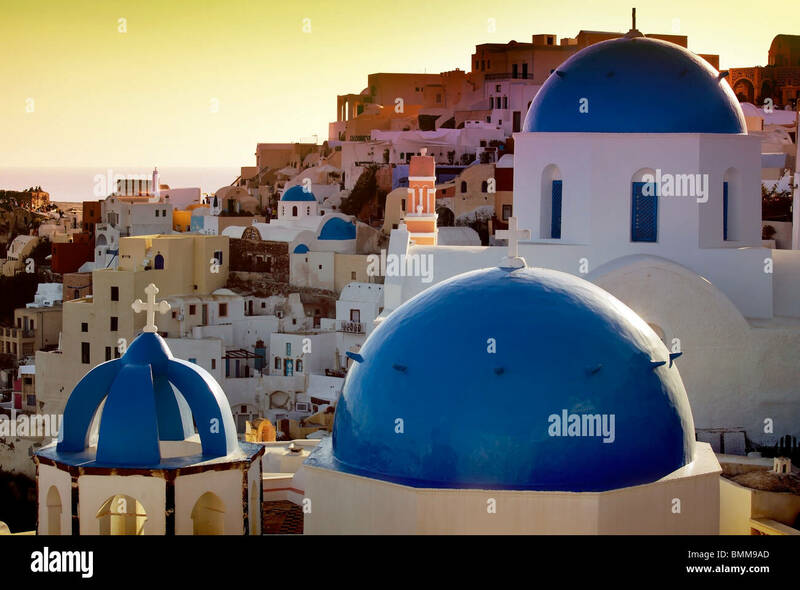 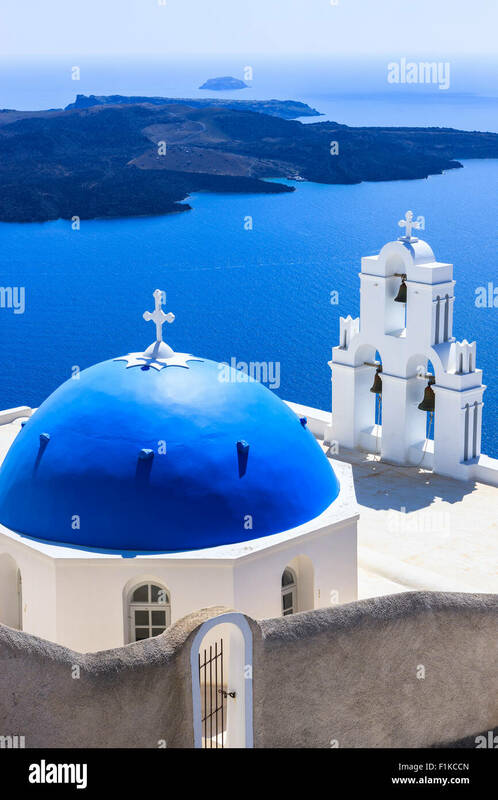 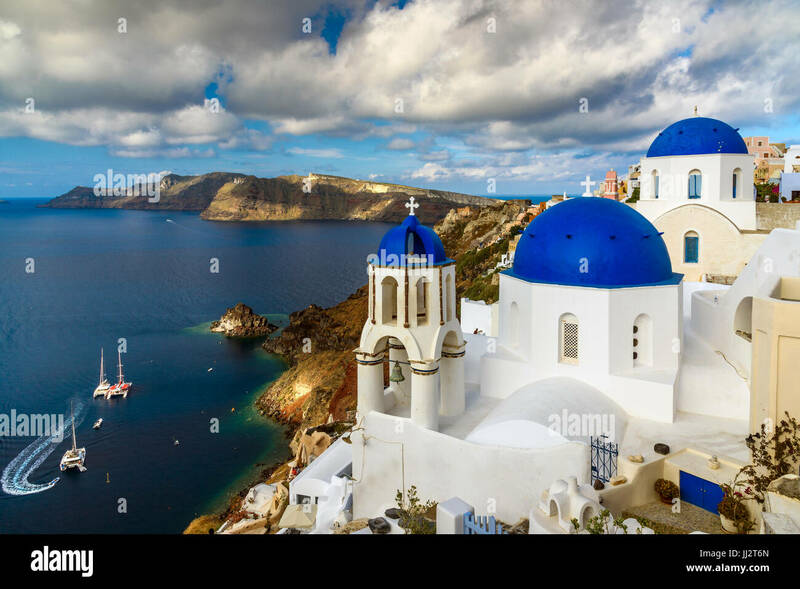 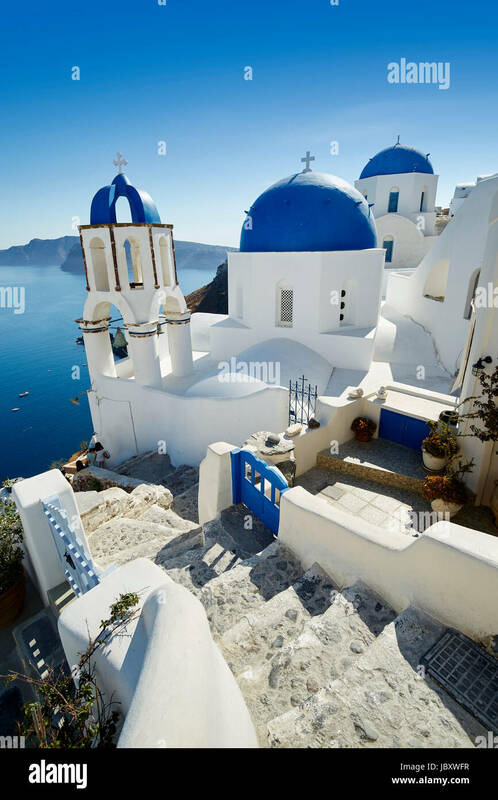 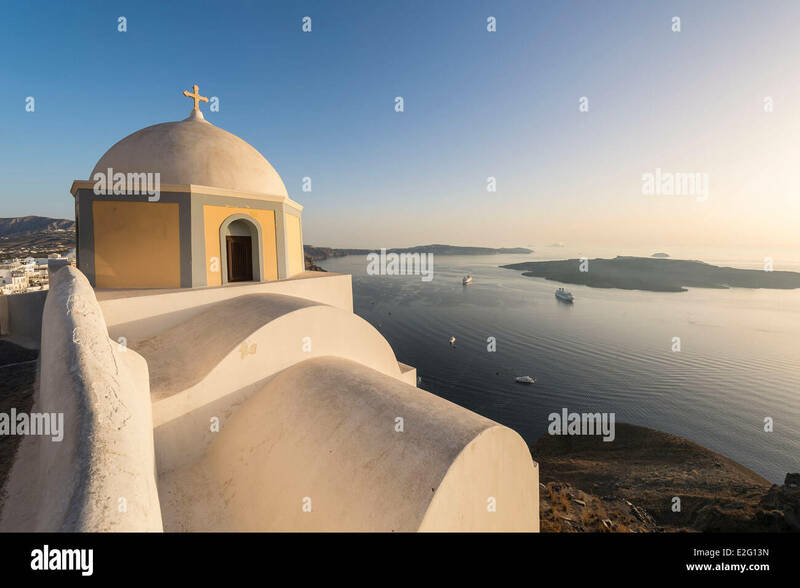 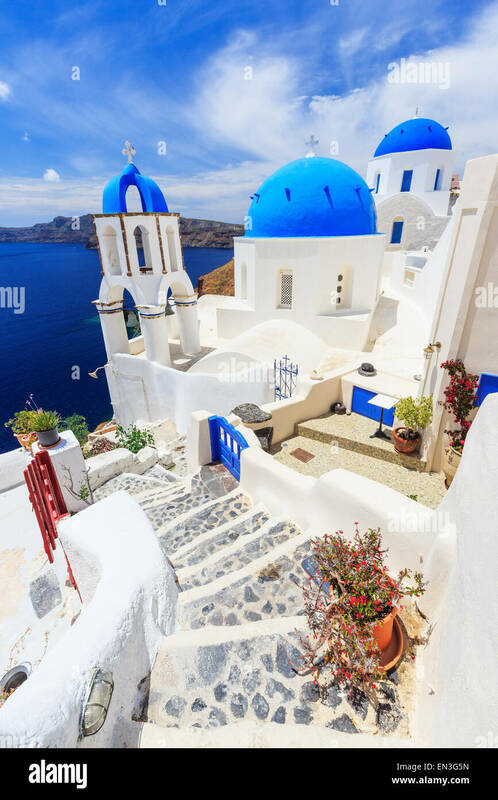 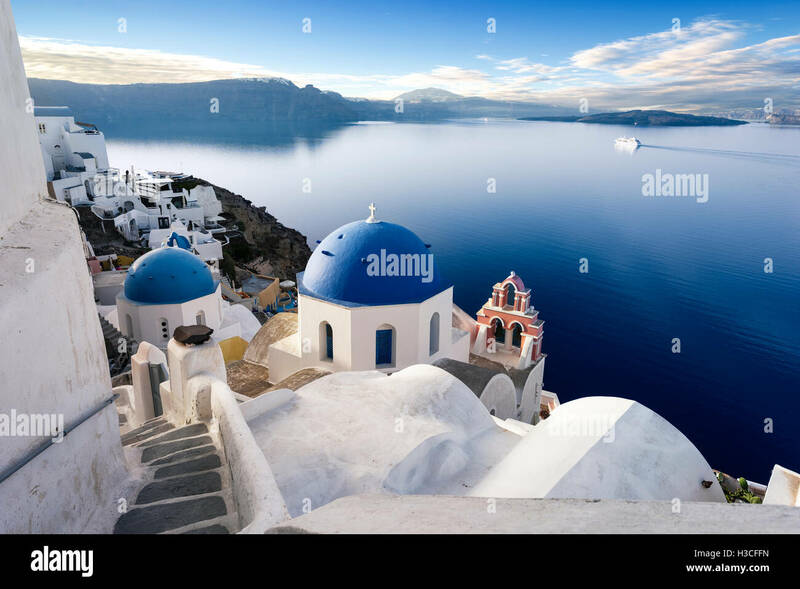 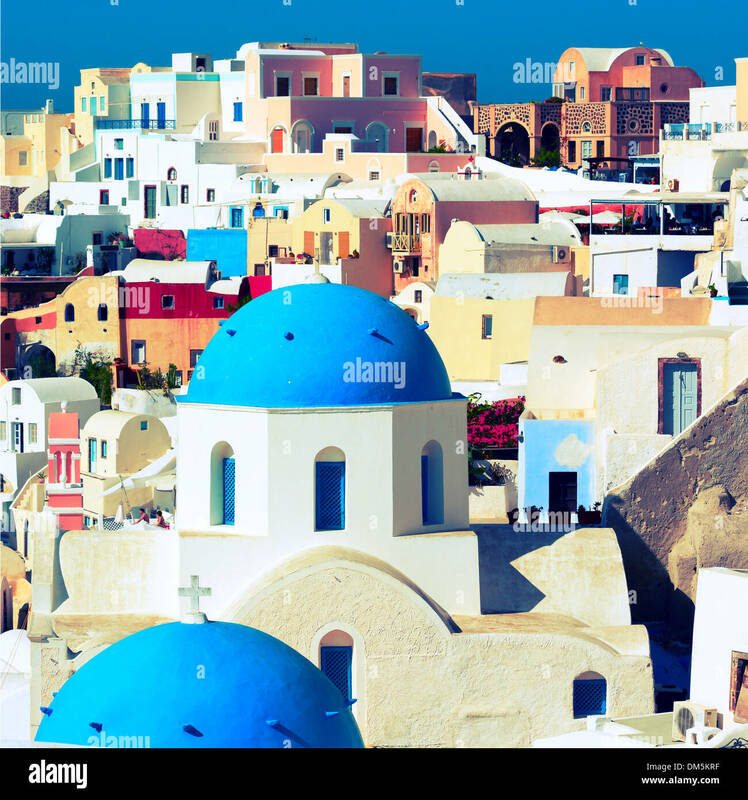 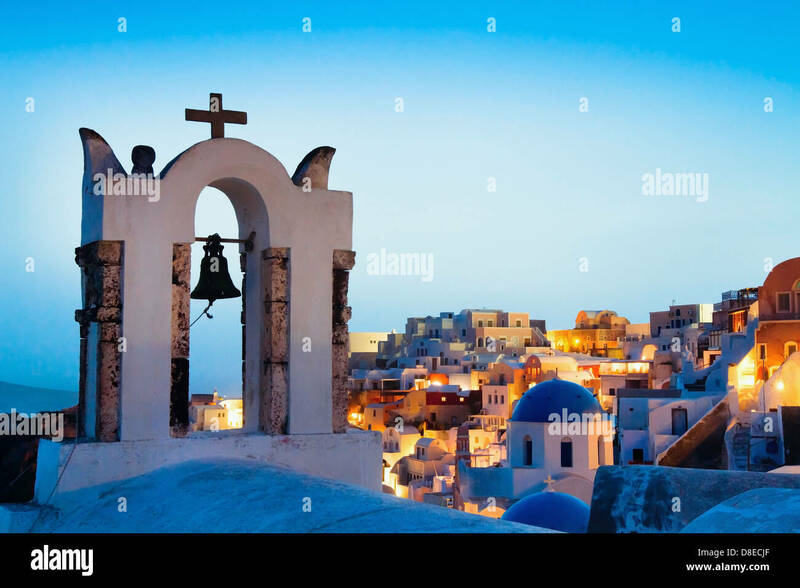 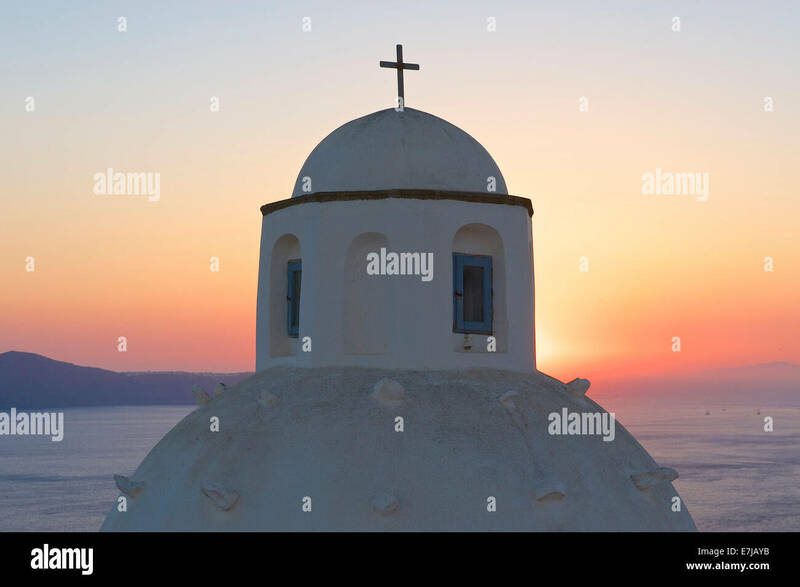 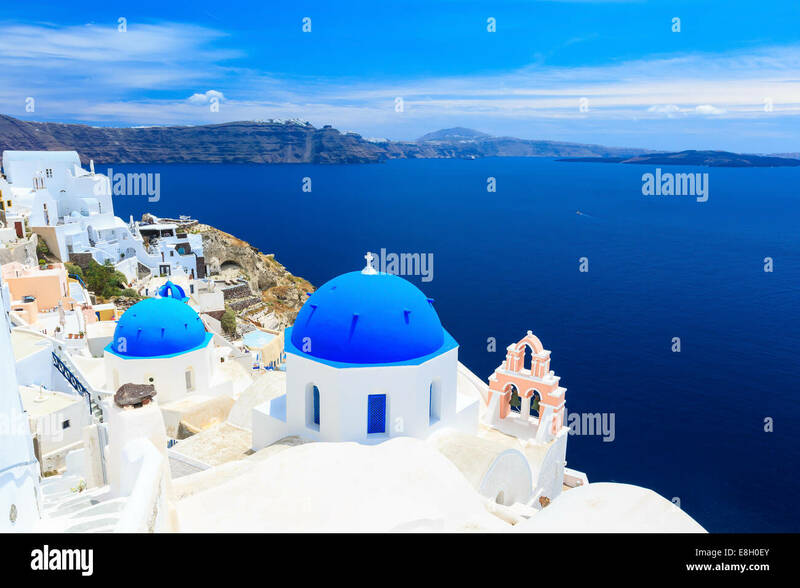 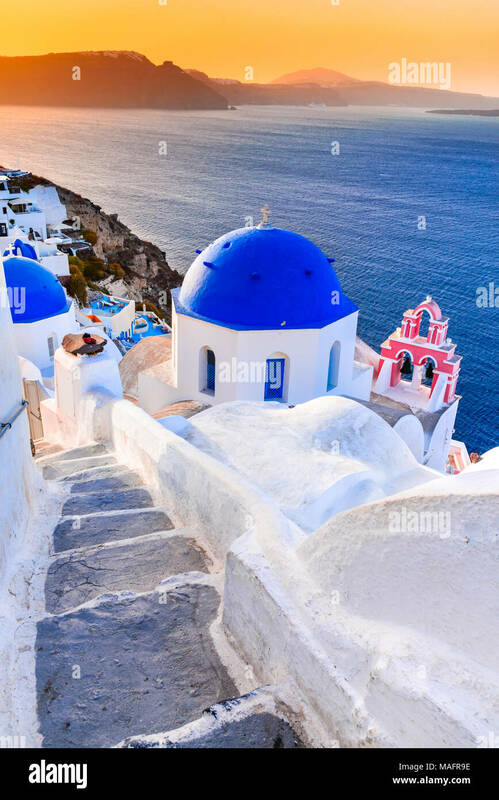 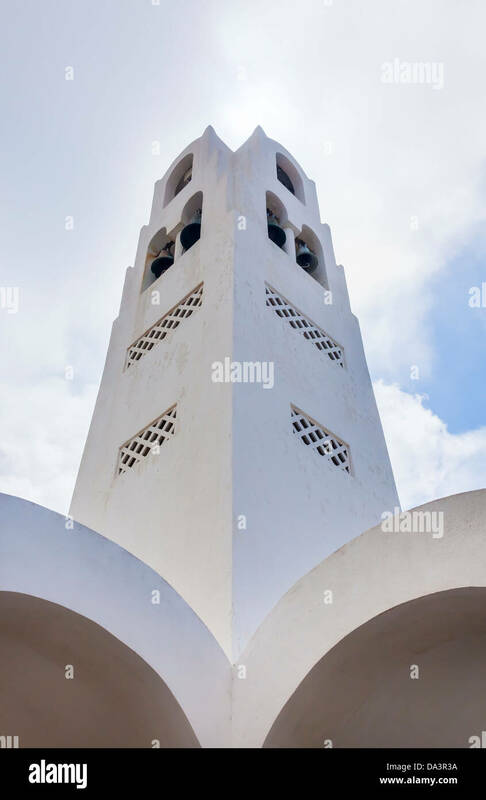 Blue domed churches on the Caldera at Oia on the Greek Island of Santorini. 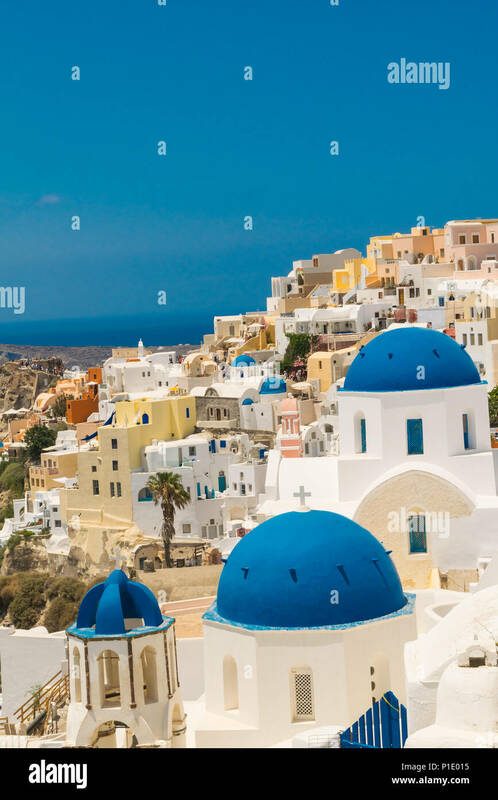 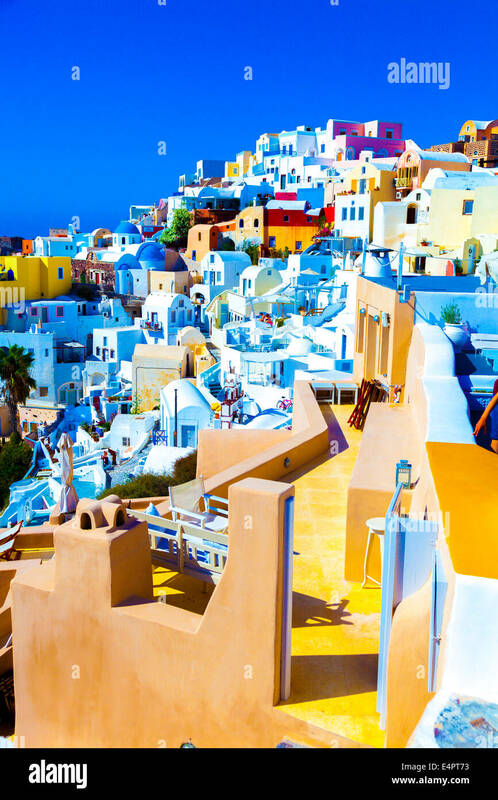 Oia, Santorini, Greece. 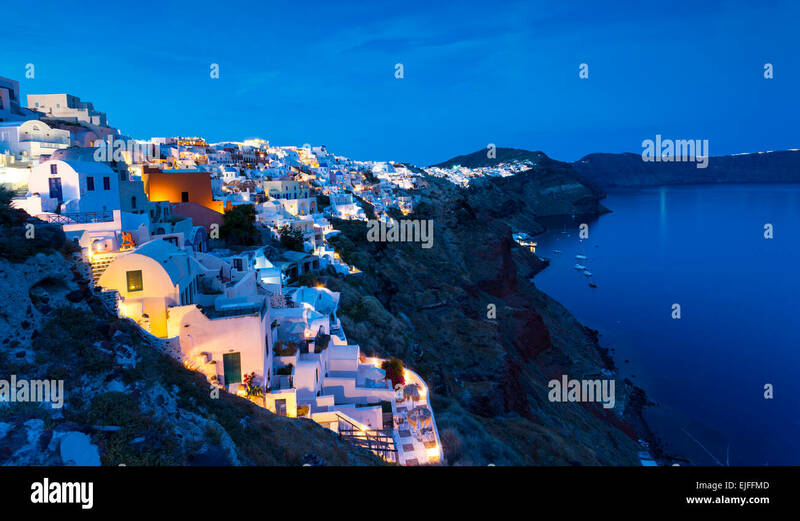 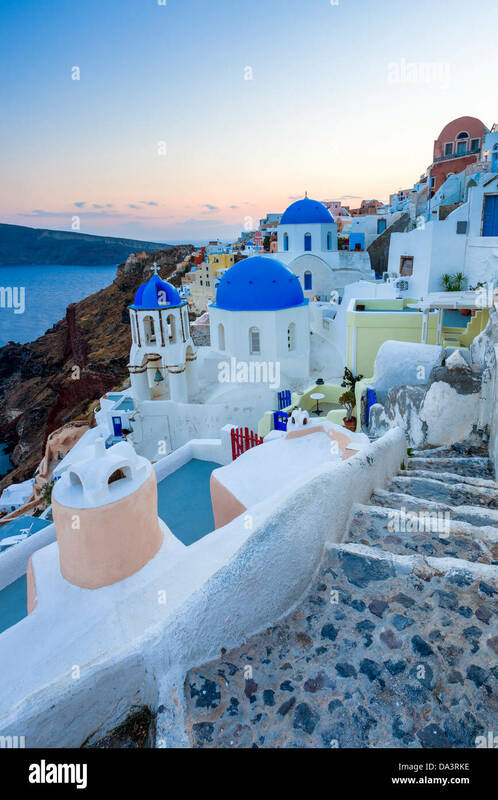 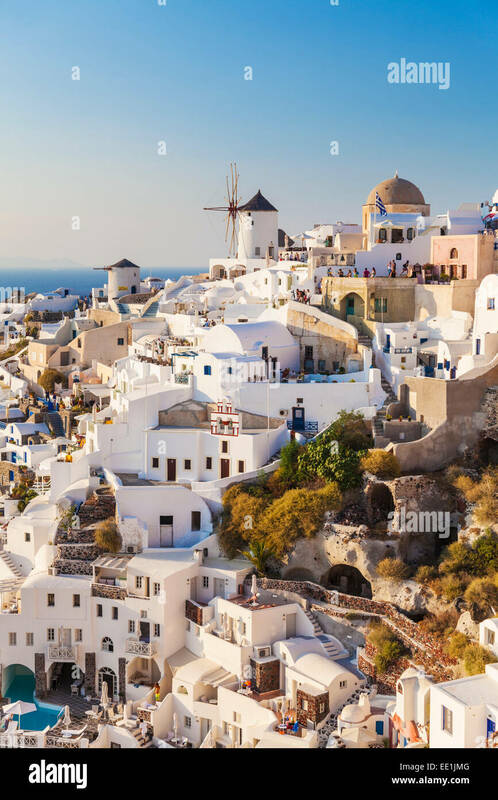 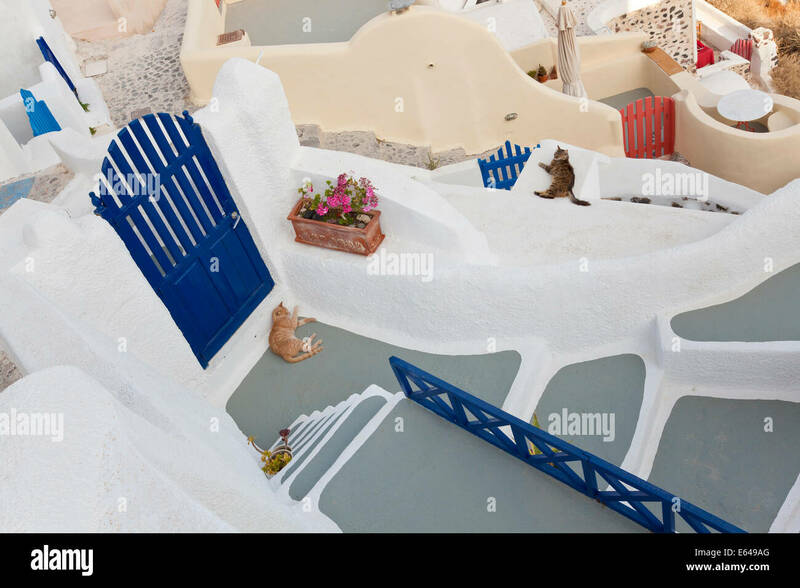 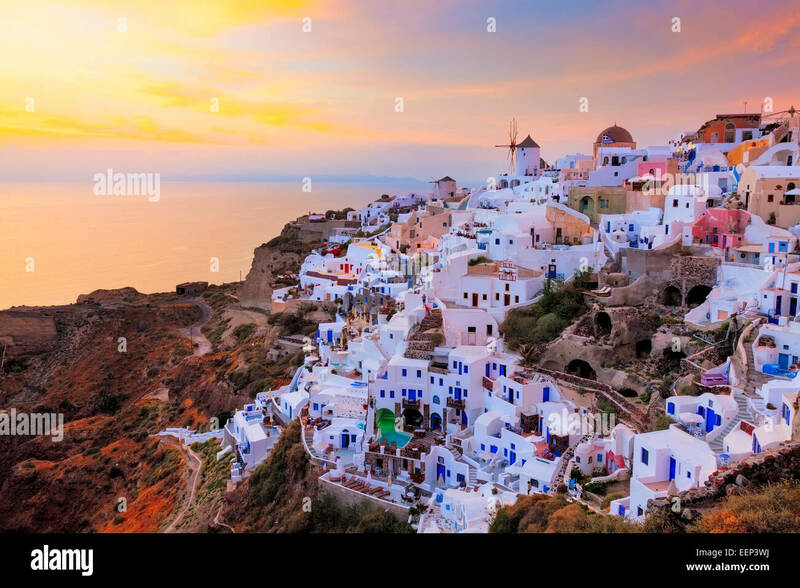 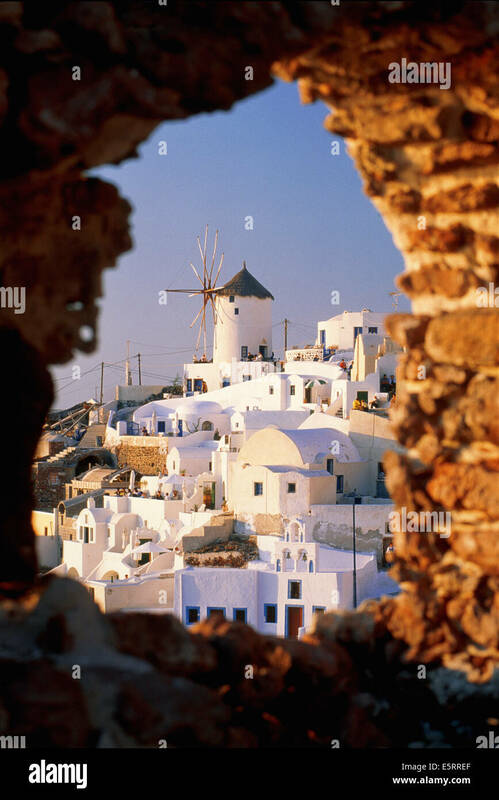 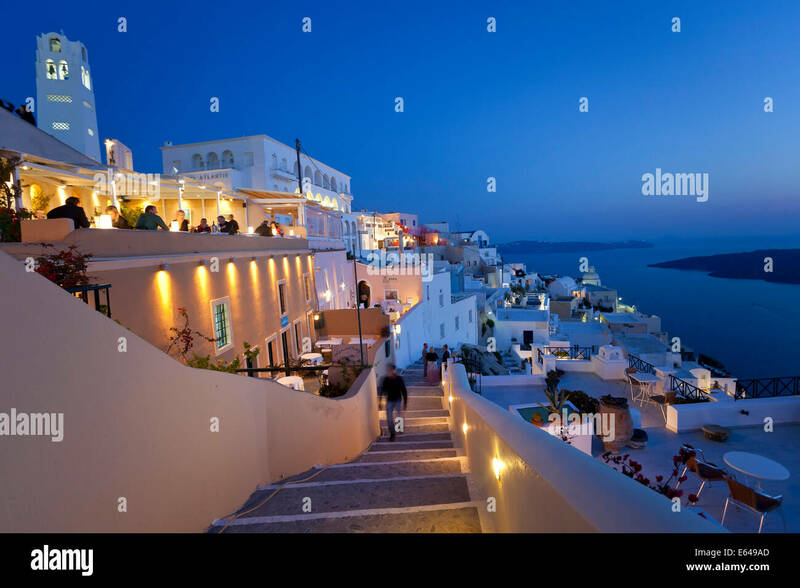 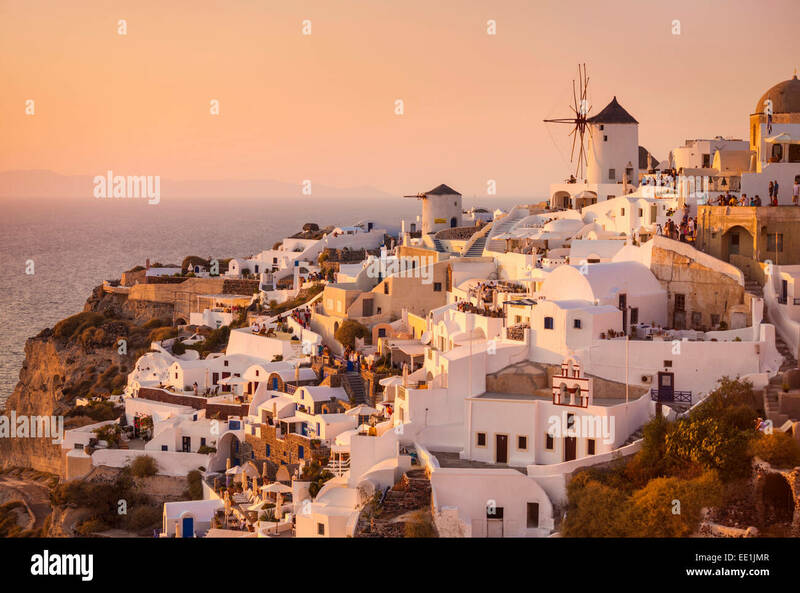 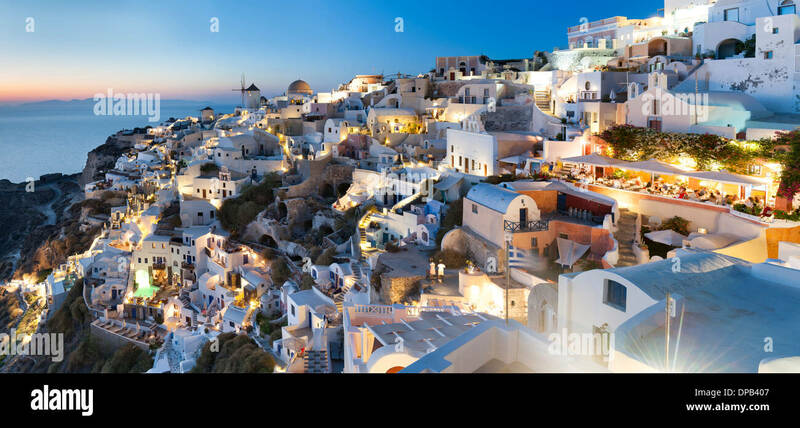 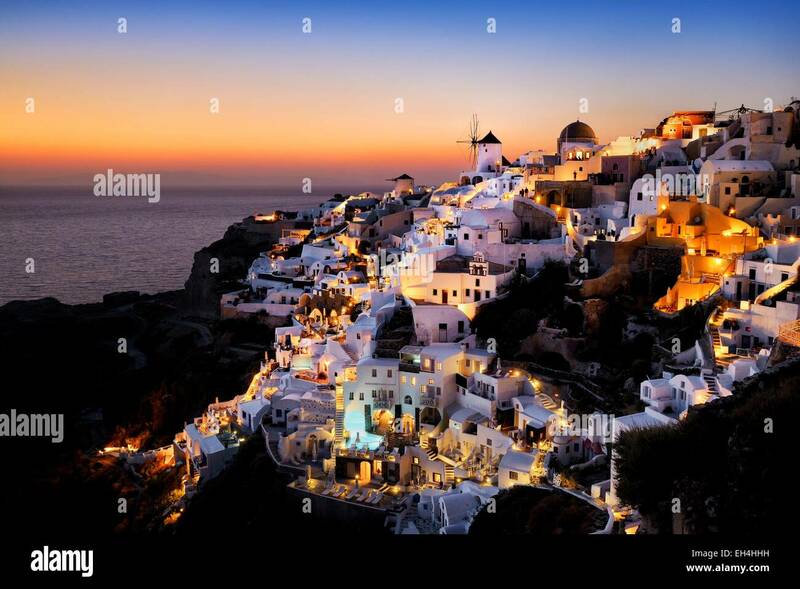 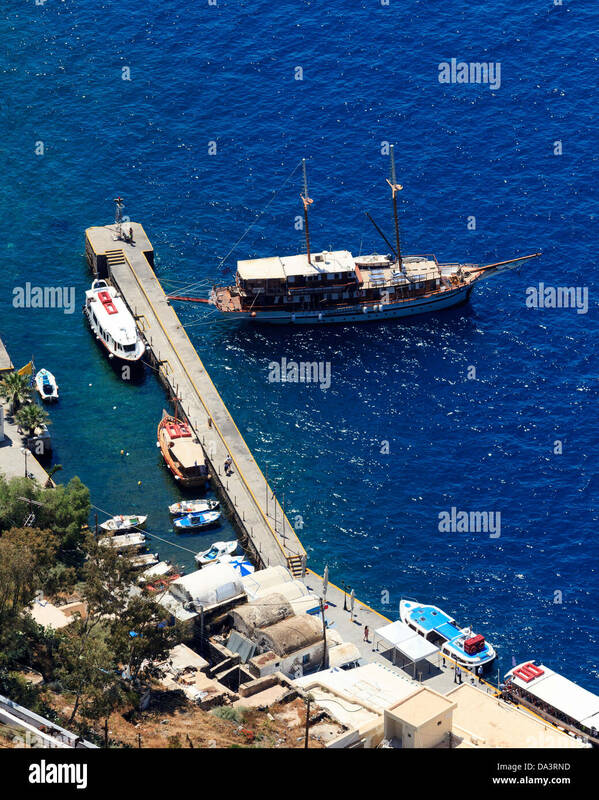 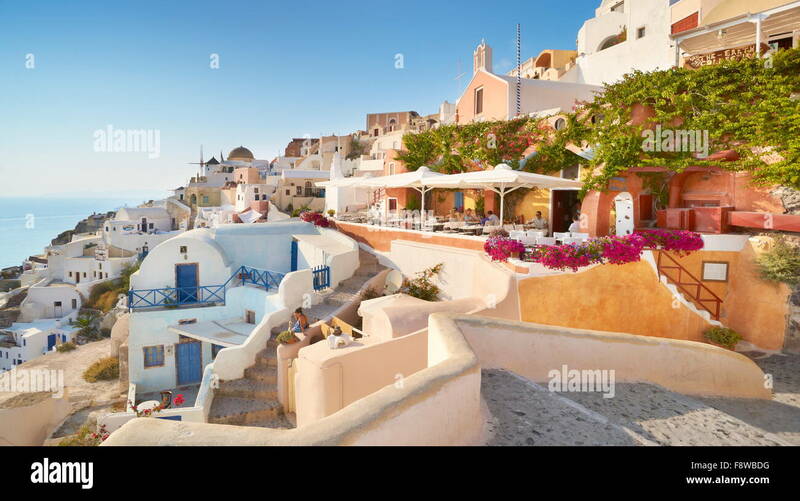 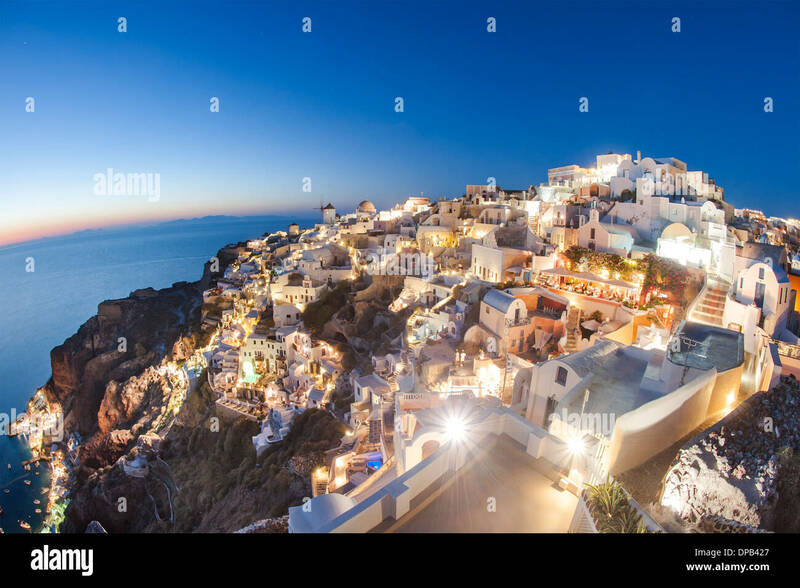 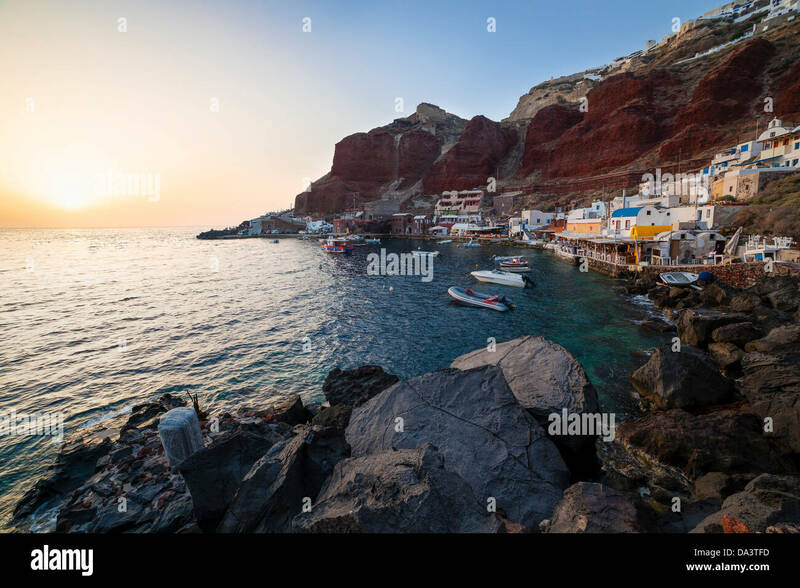 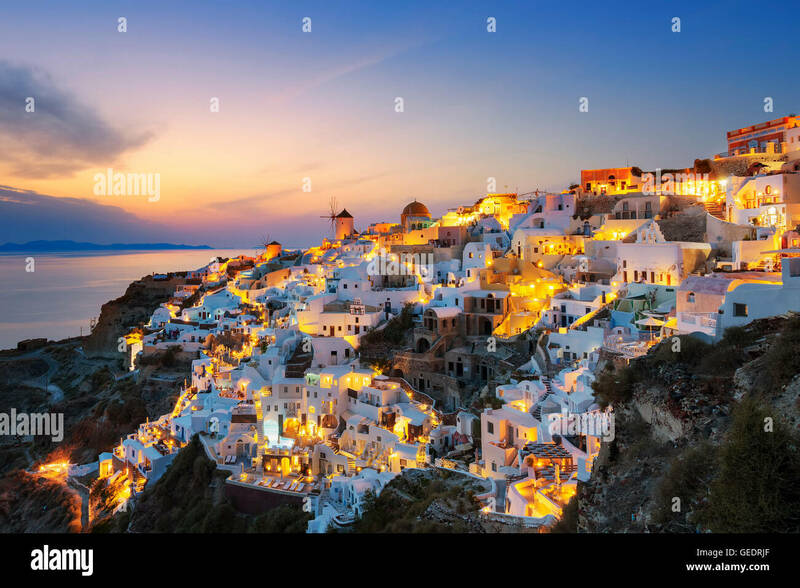 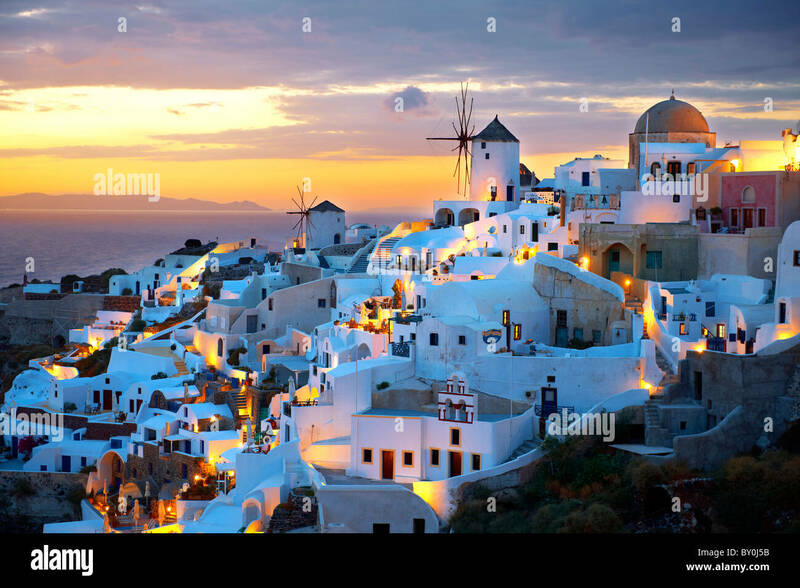 White village with cobbled narrow paths, famous attraction of Greek Islands, Thira. 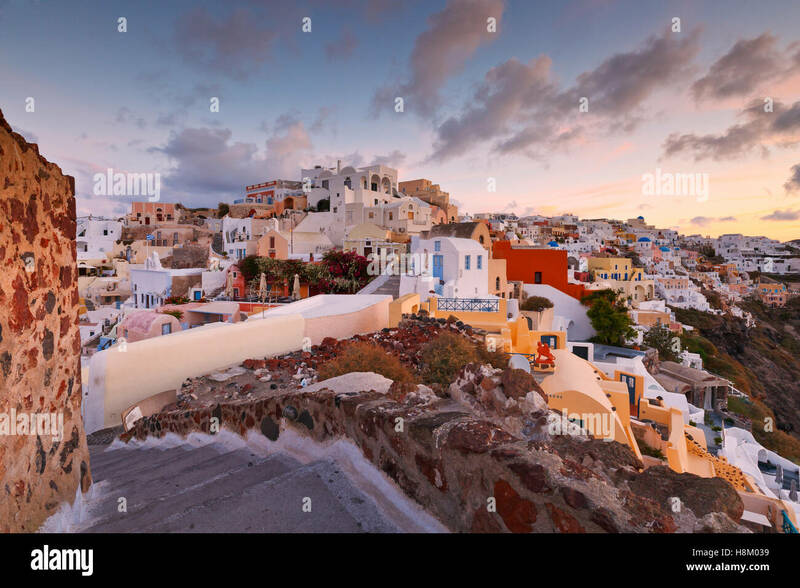 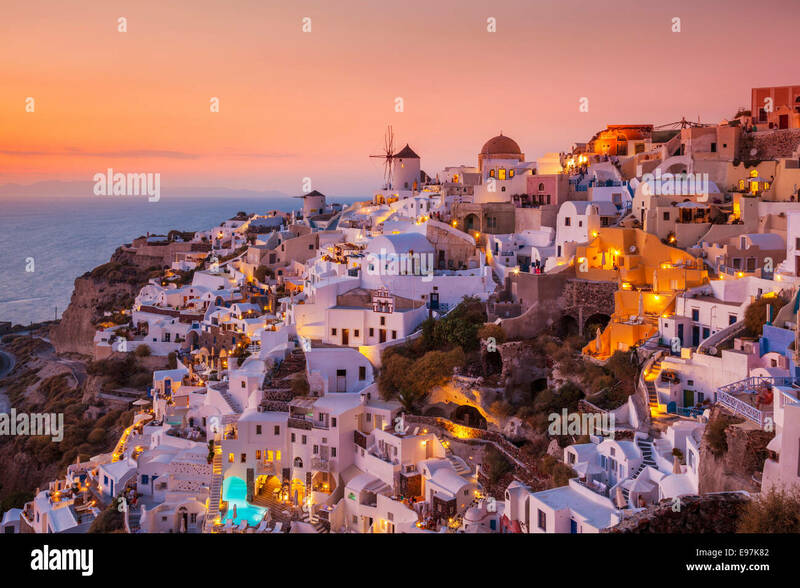 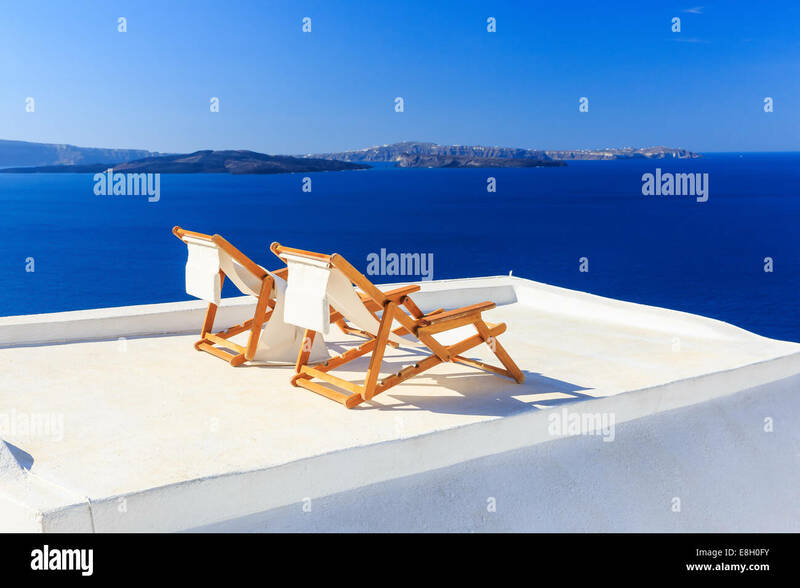 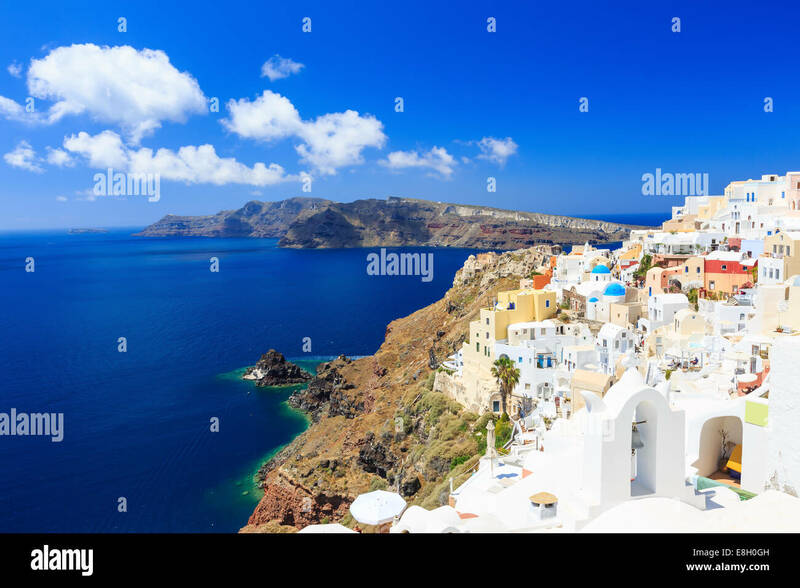 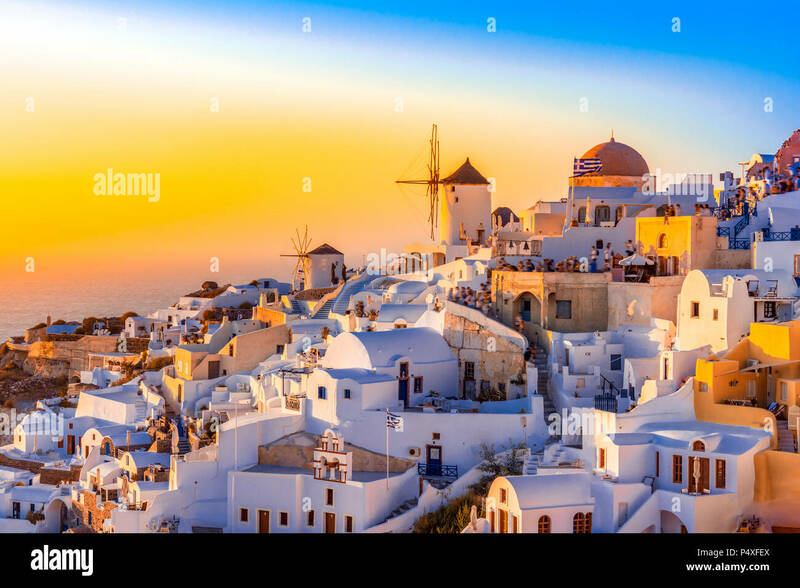 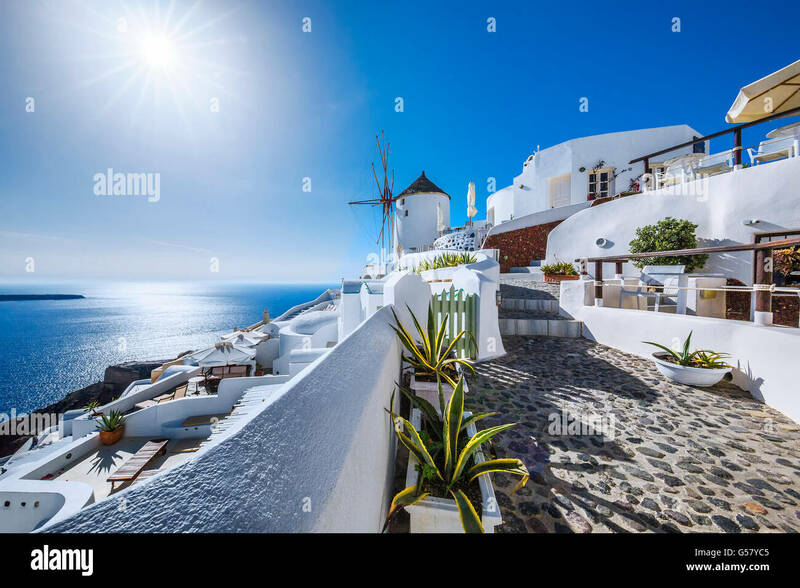 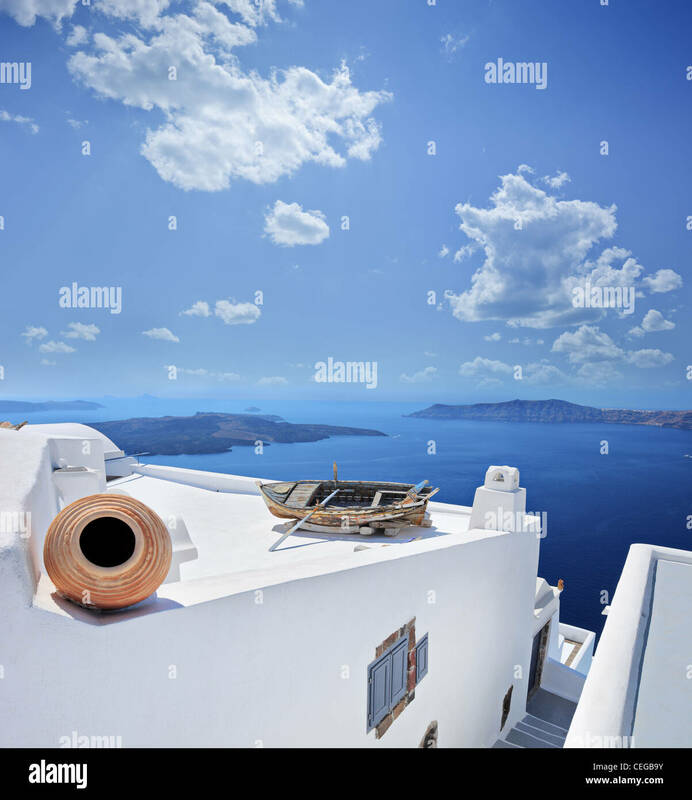 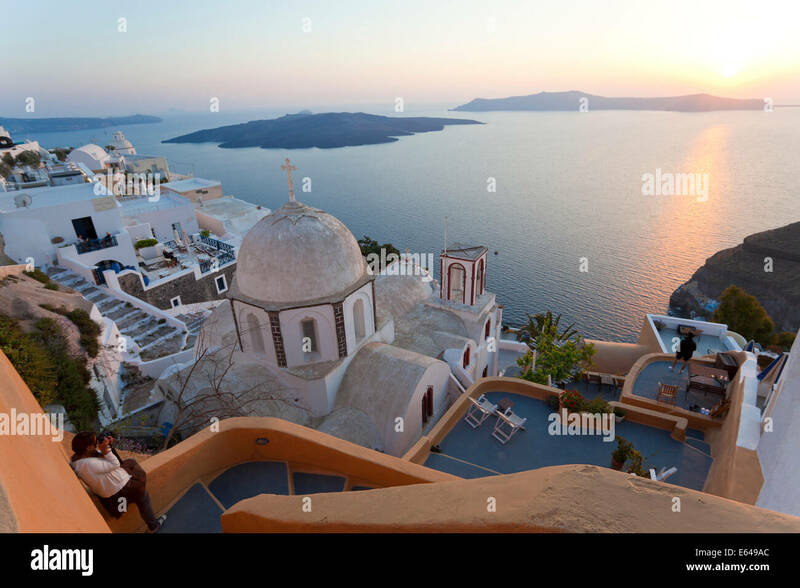 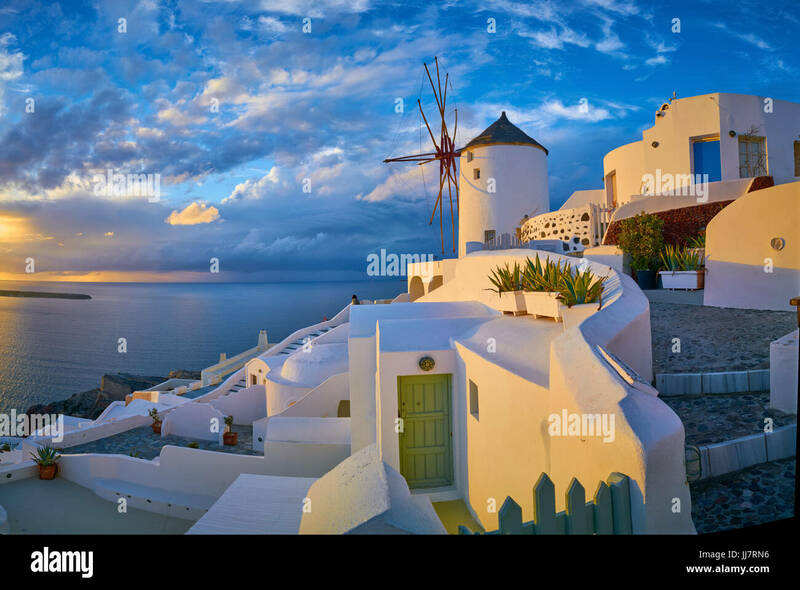 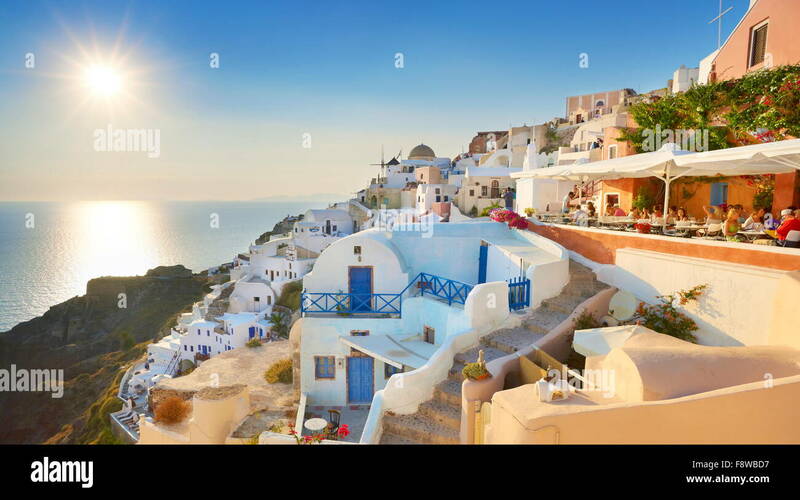 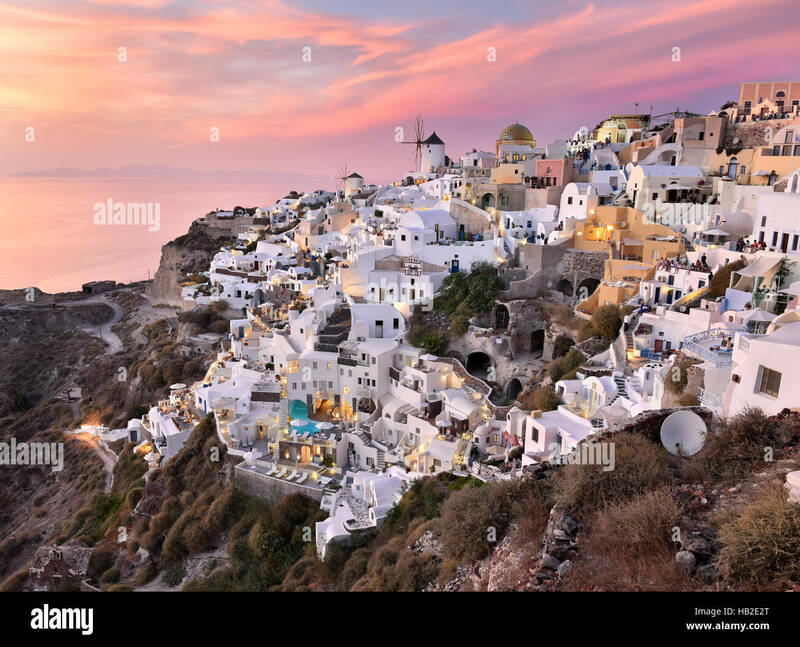 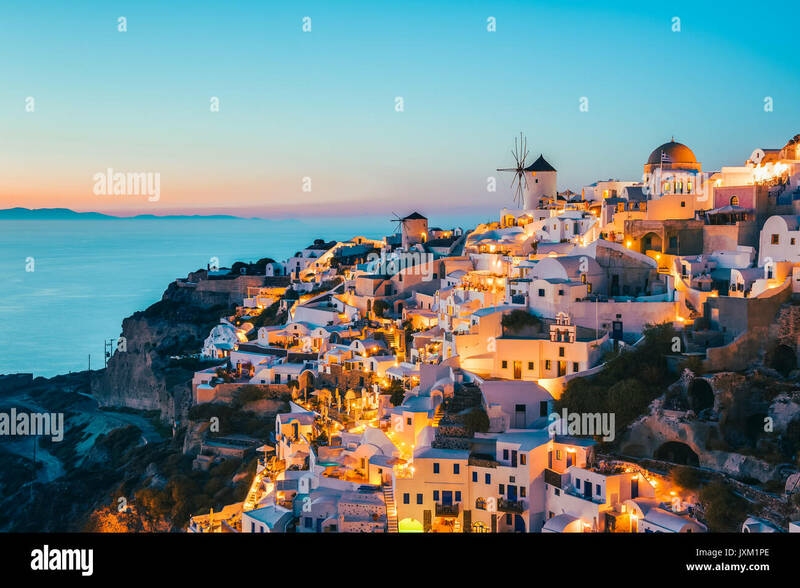 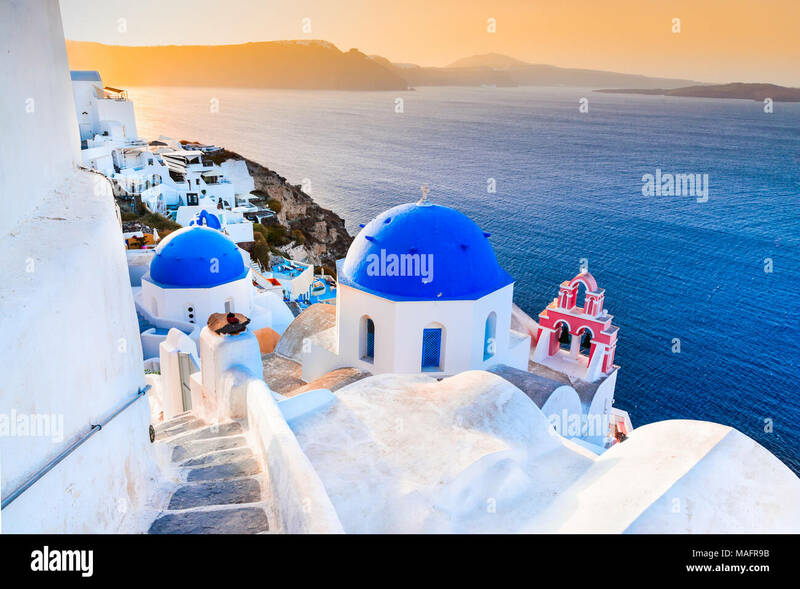 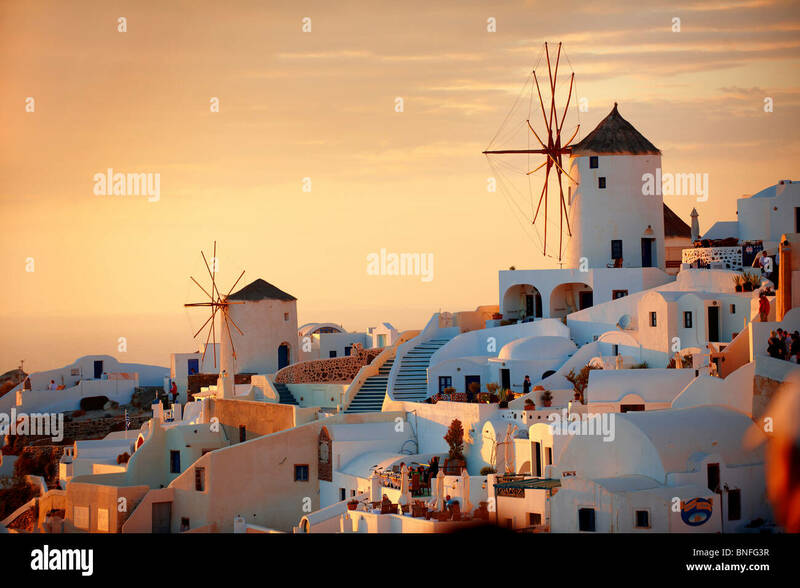 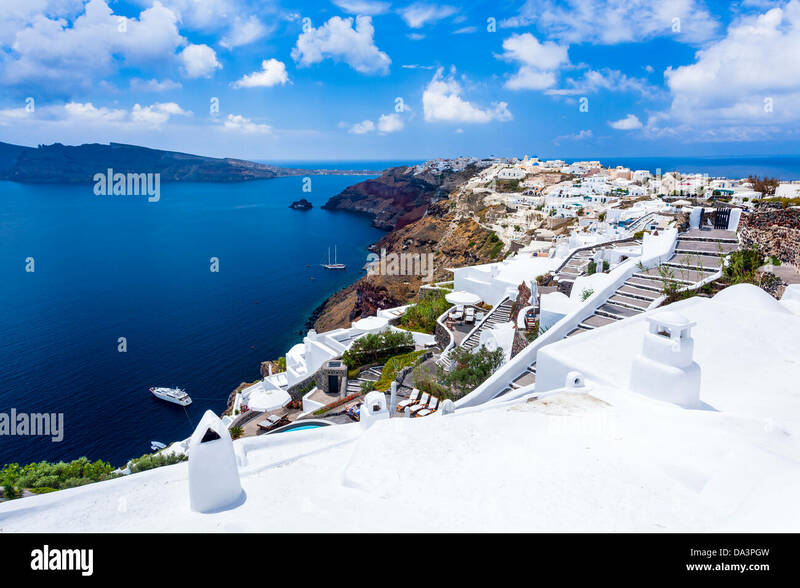 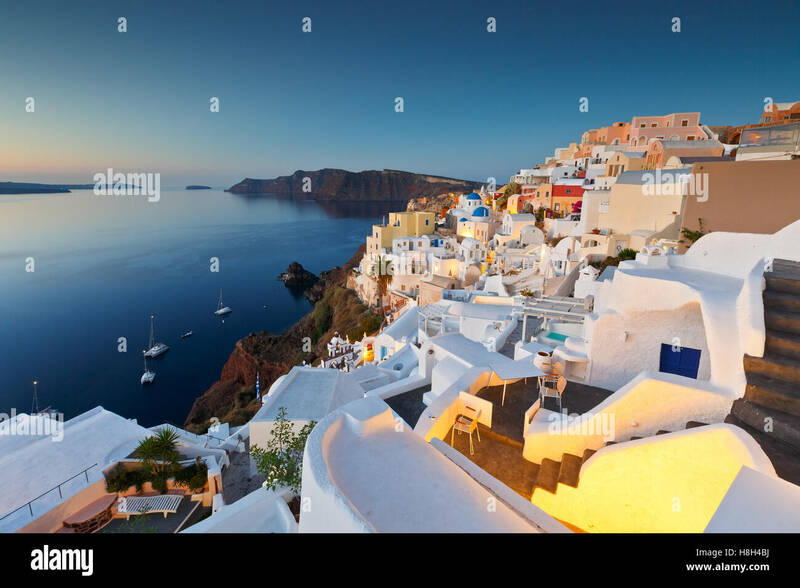 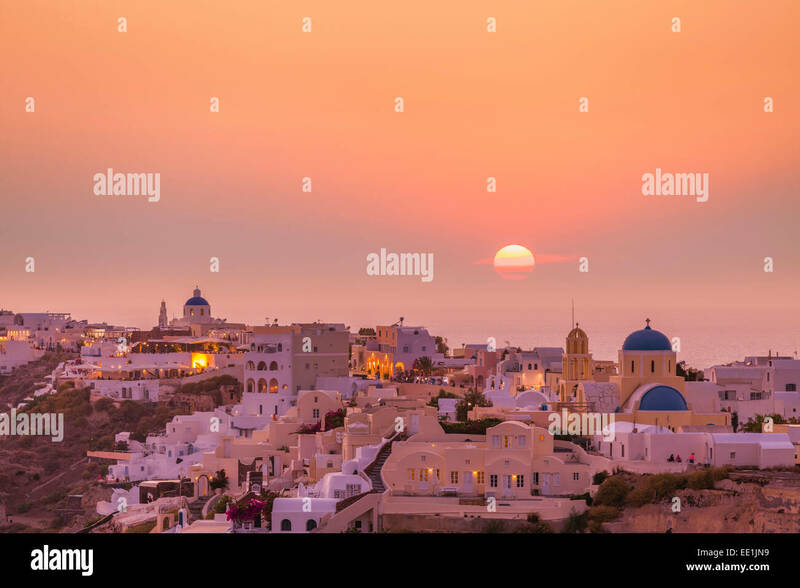 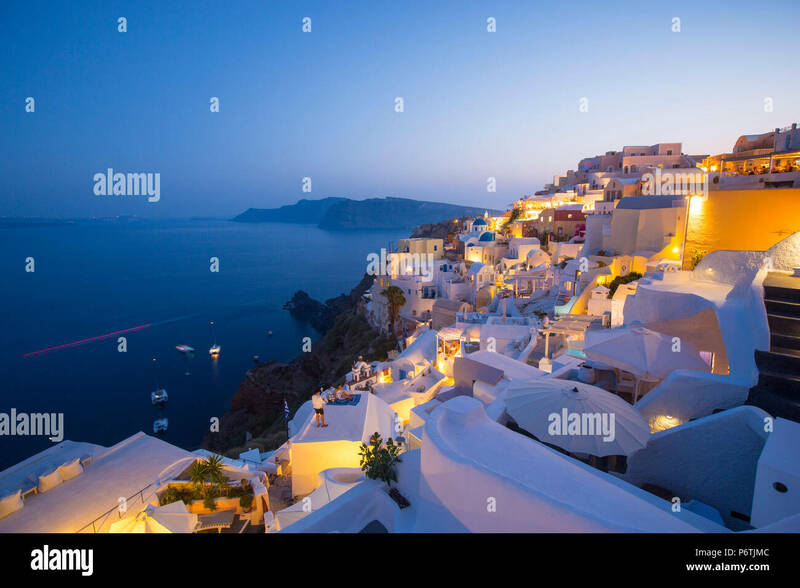 Panorma of the sun settings over Oia on the Island of Santorini Greece.